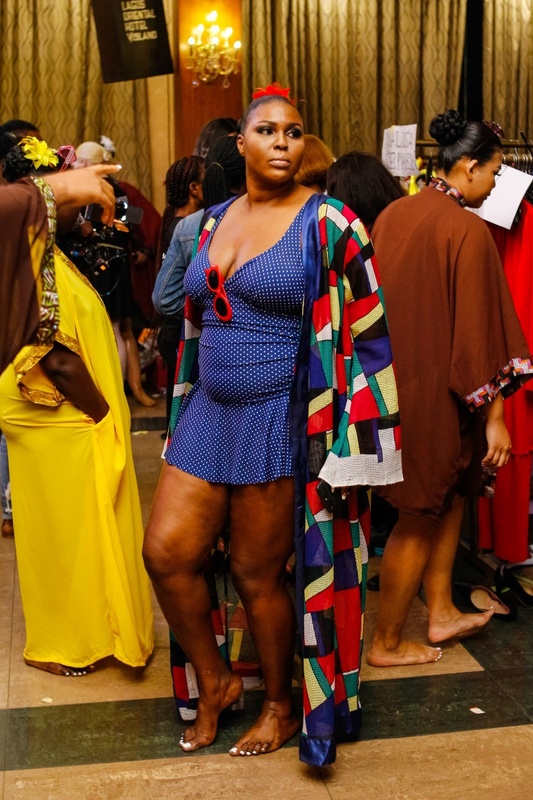 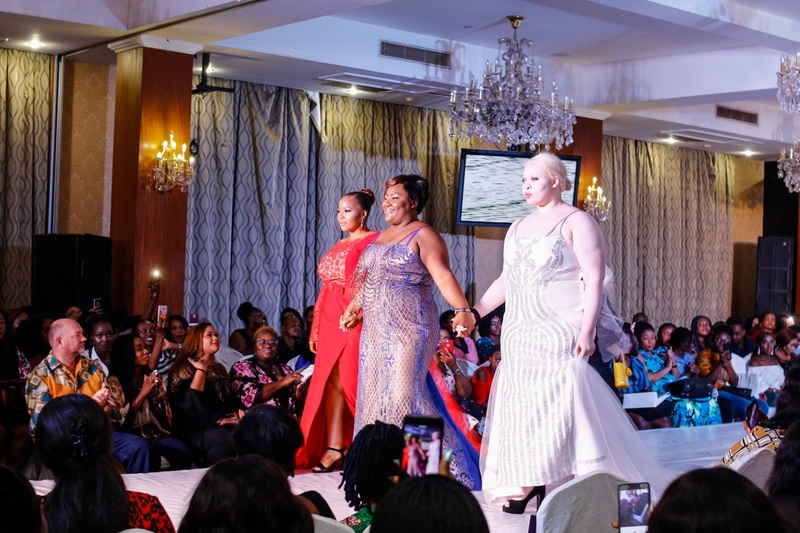 The PlusSize Fashion Week Africa came with a bang and will remain the most talked about Fashion show for months to come. 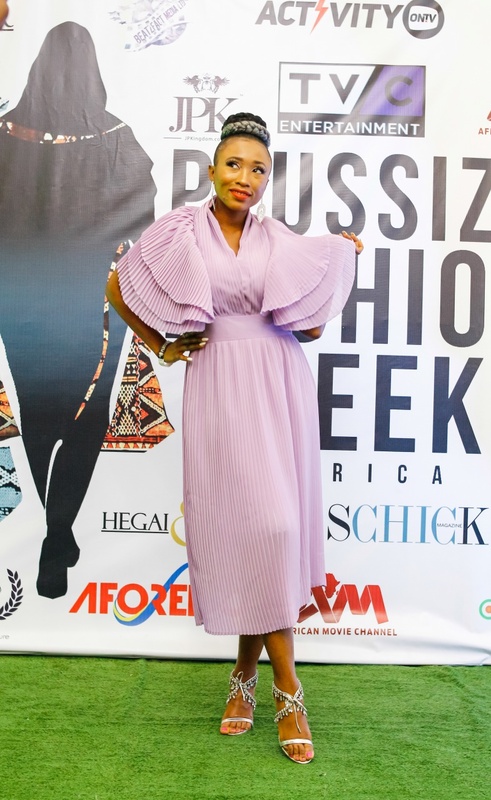 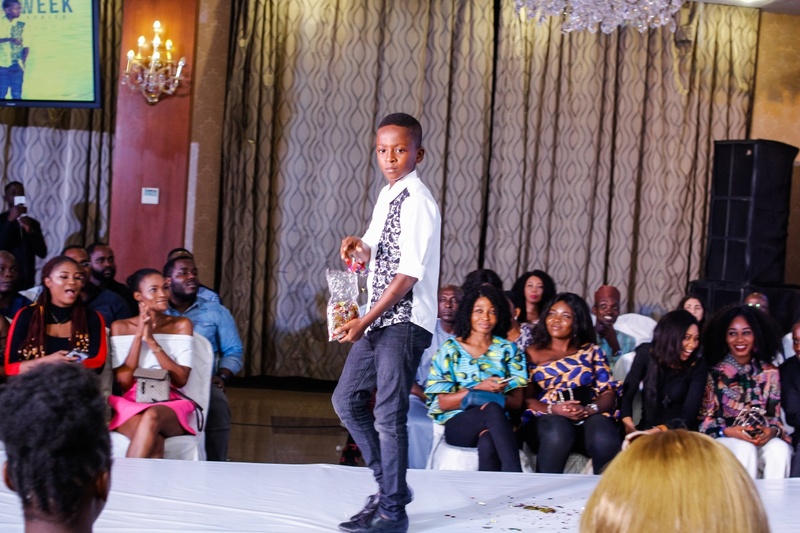 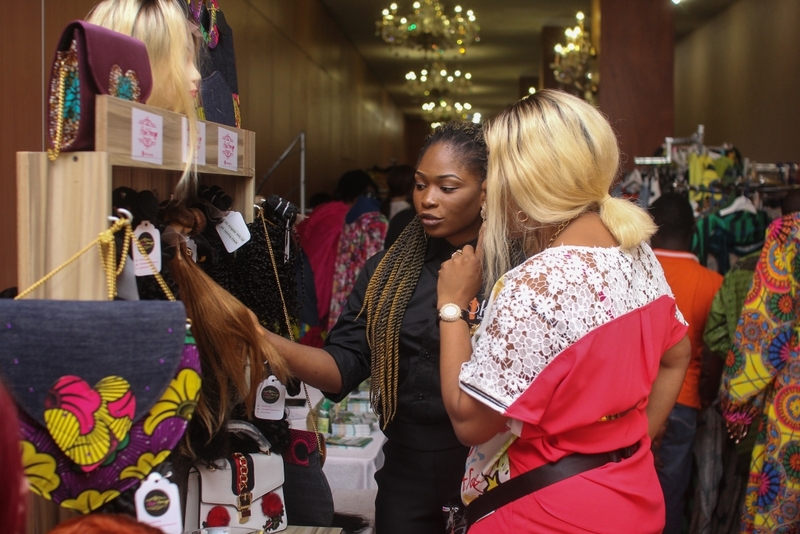 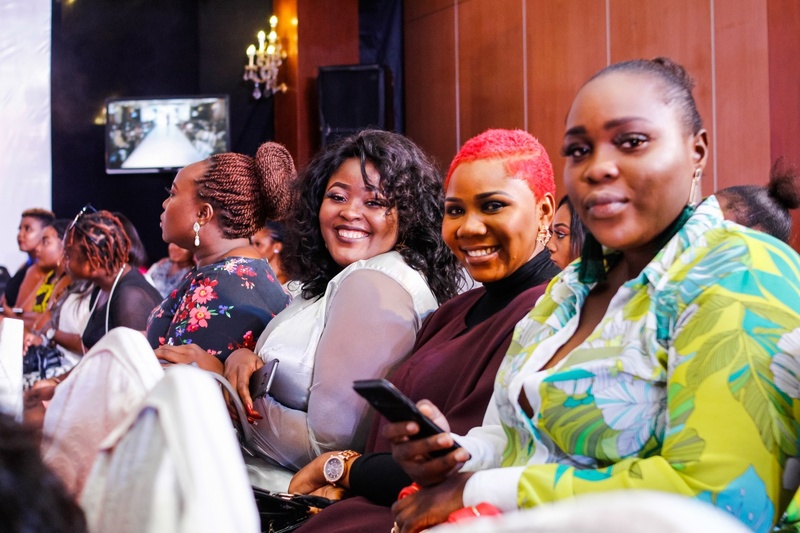 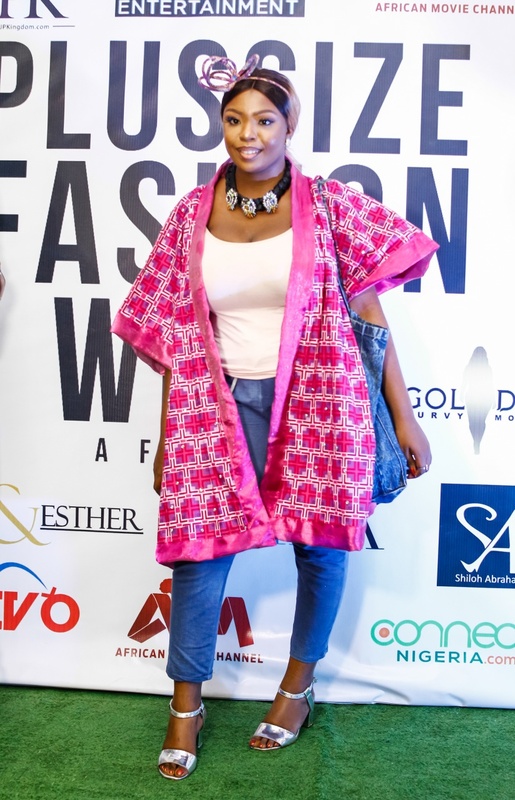 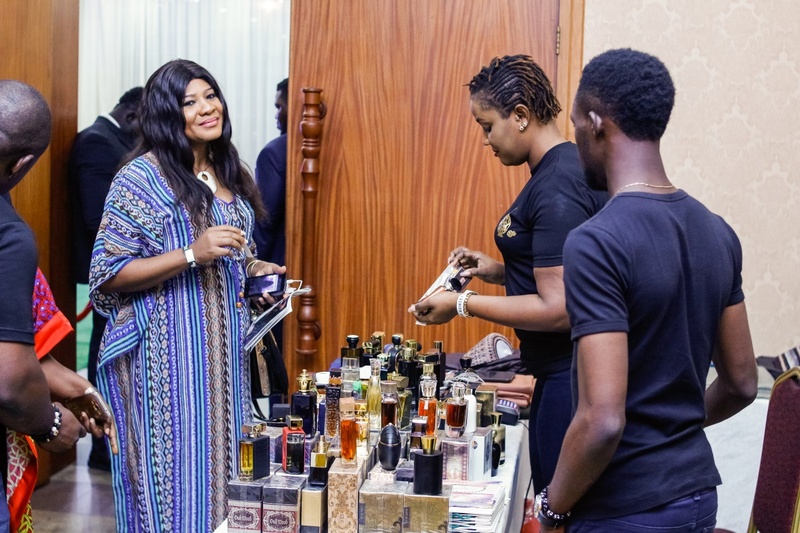 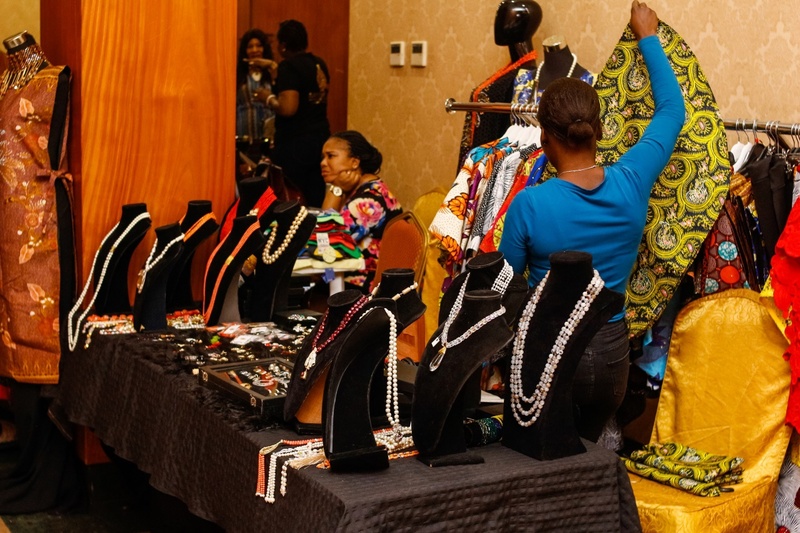 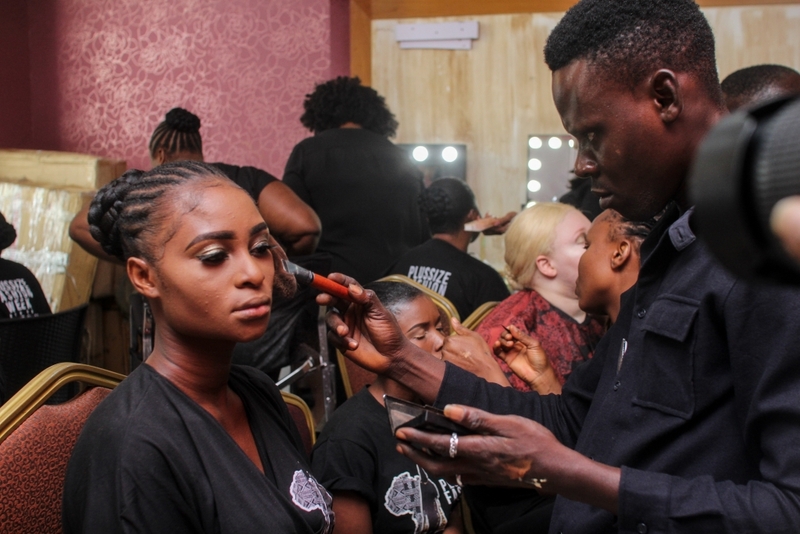 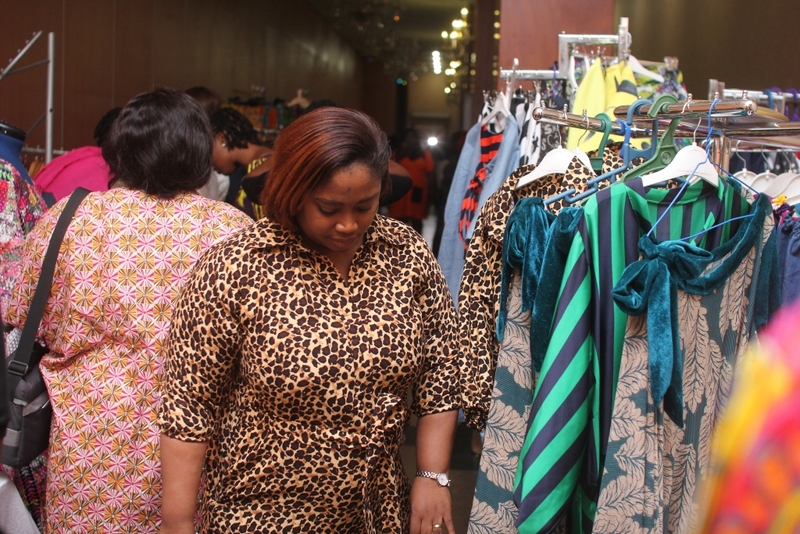 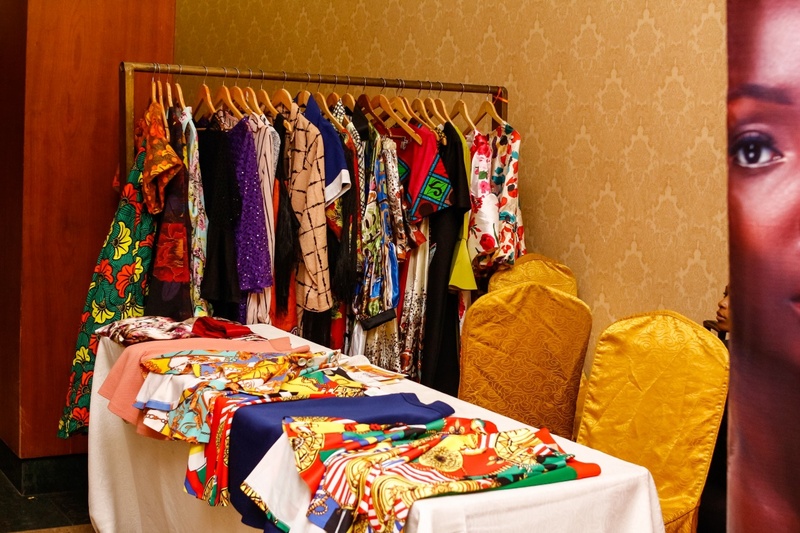 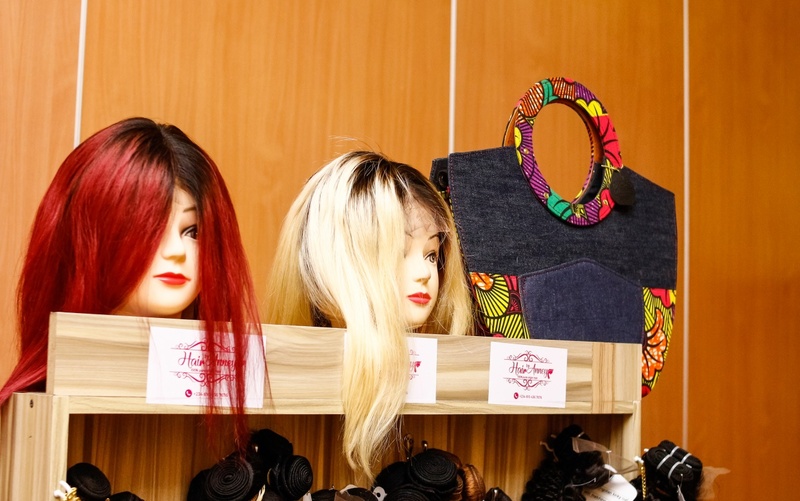 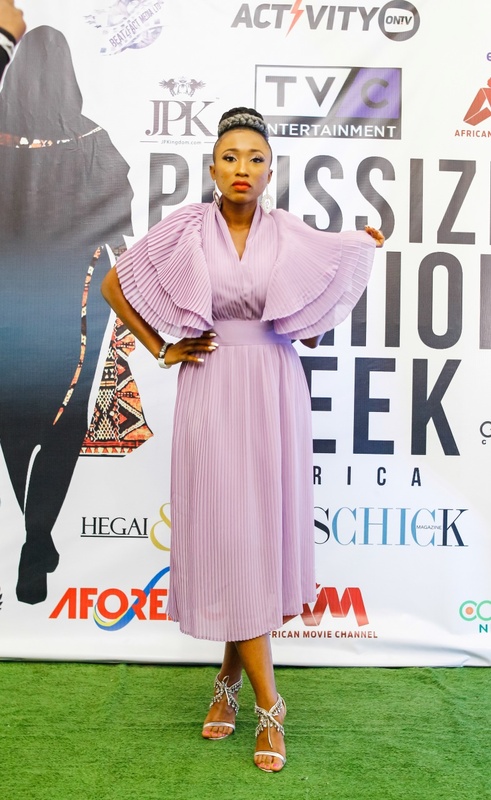 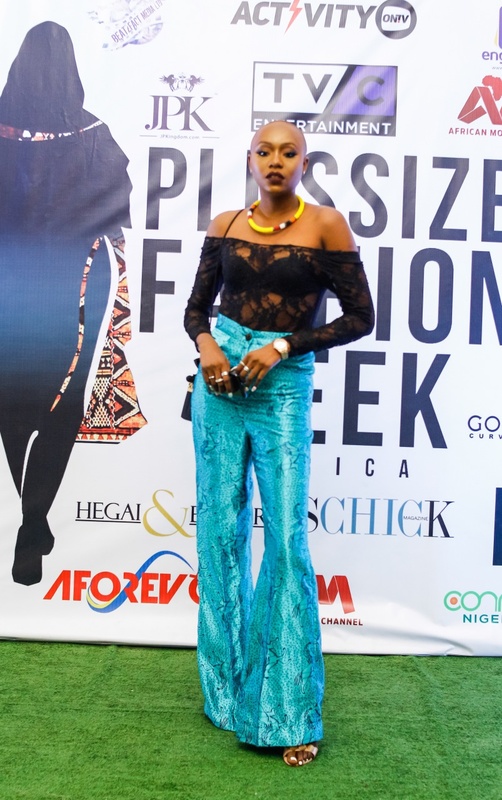 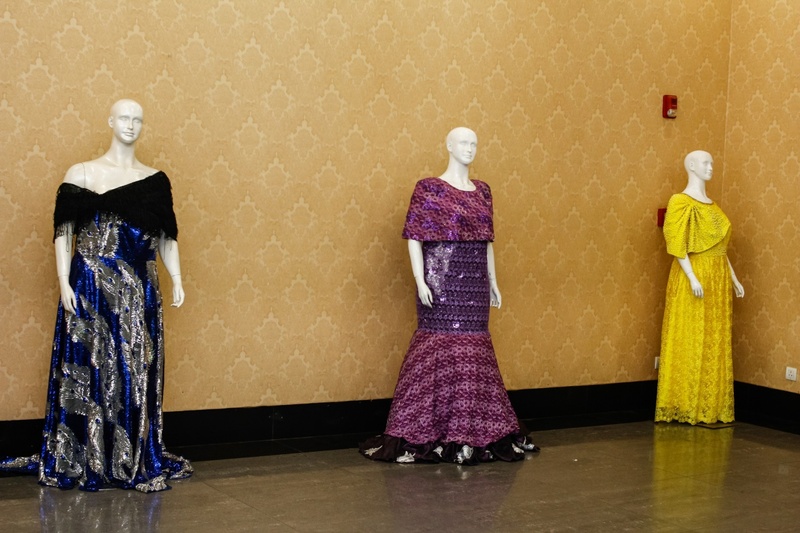 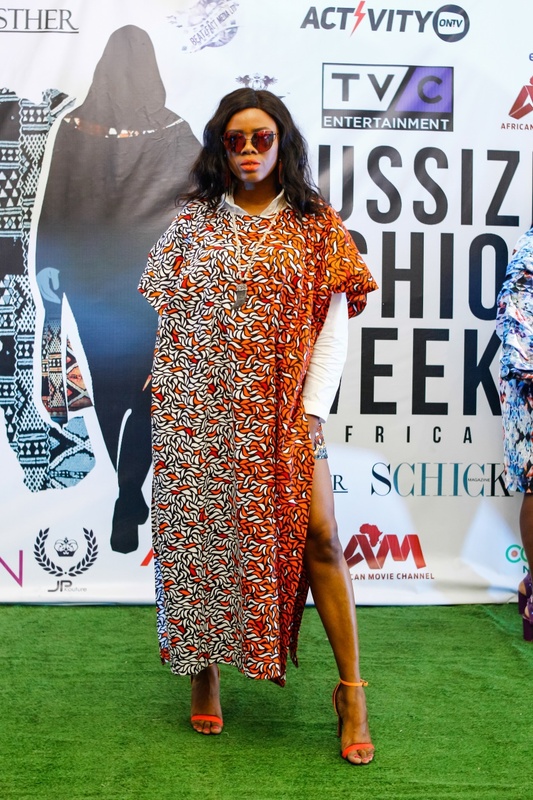 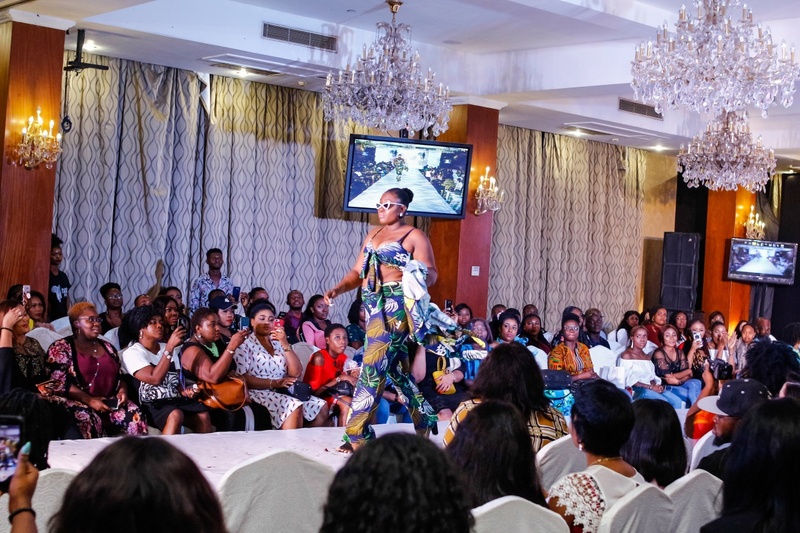 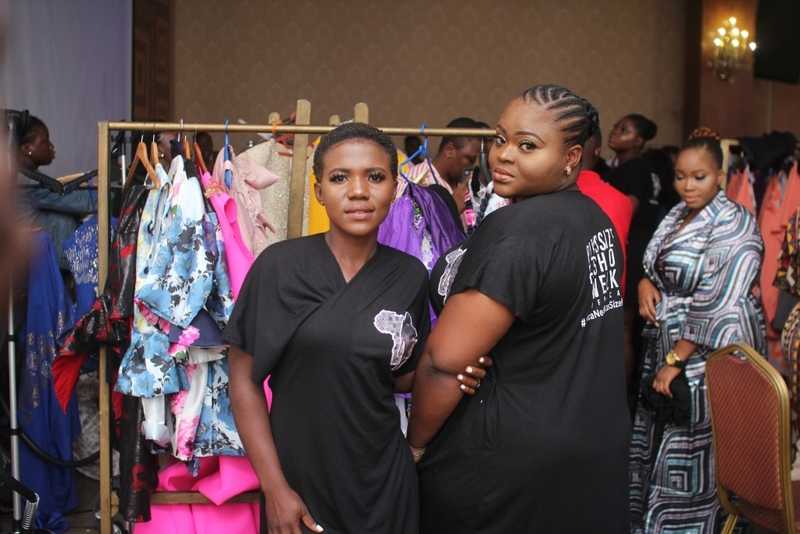 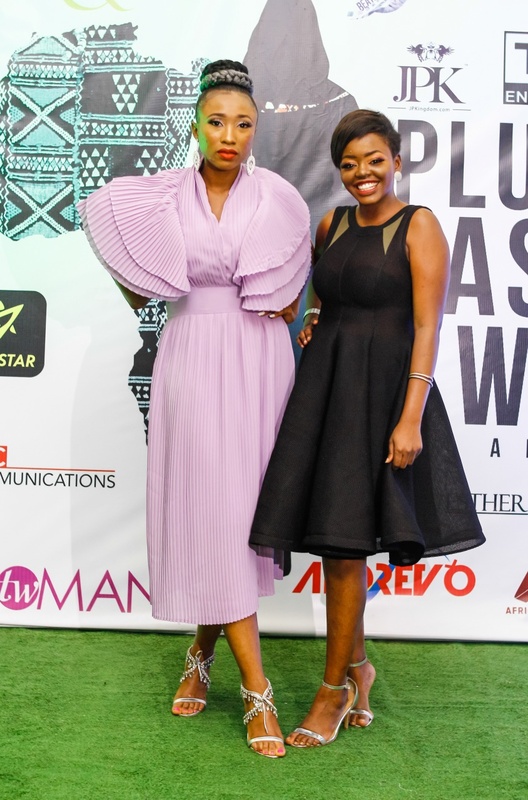 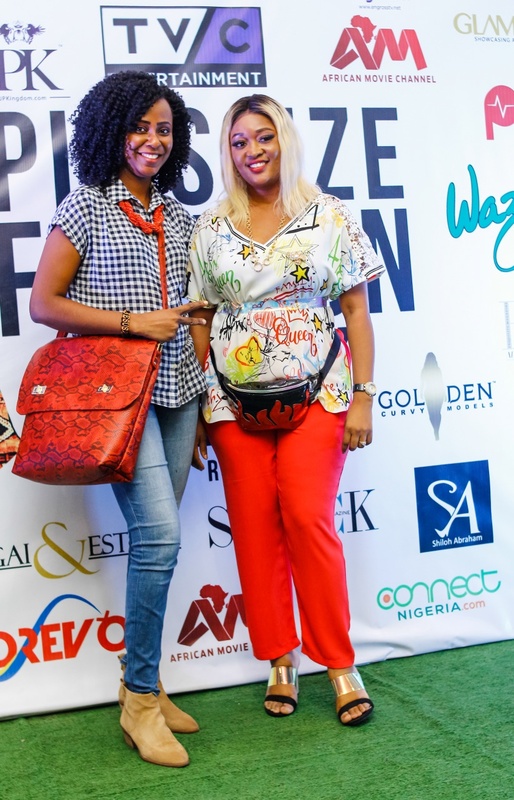 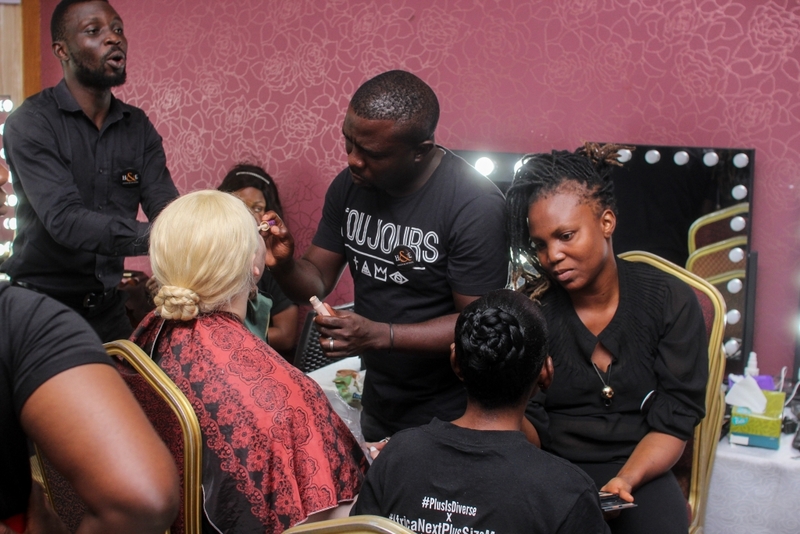 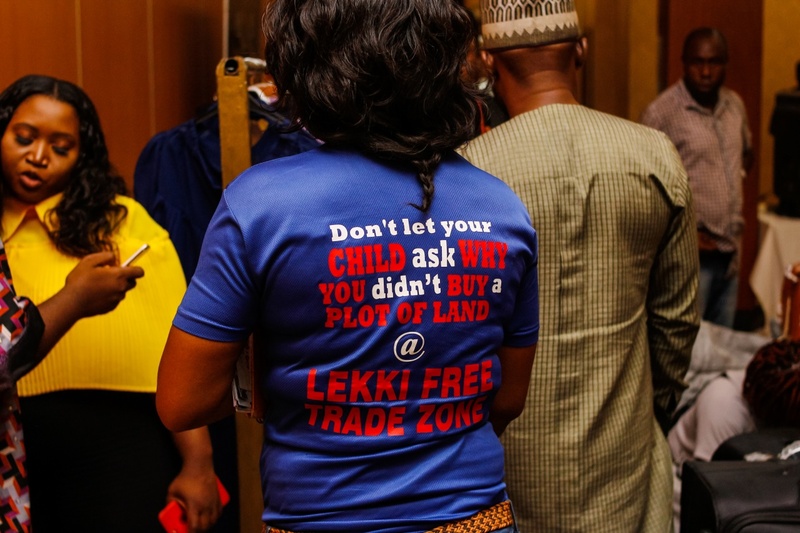 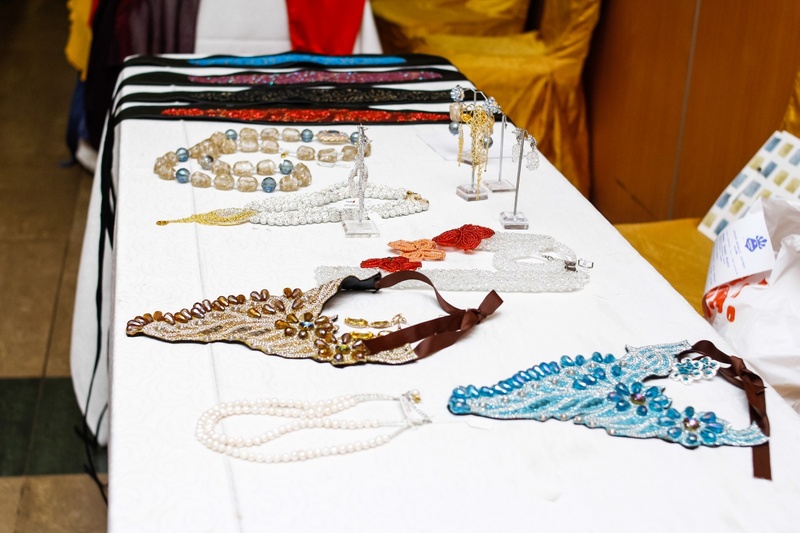 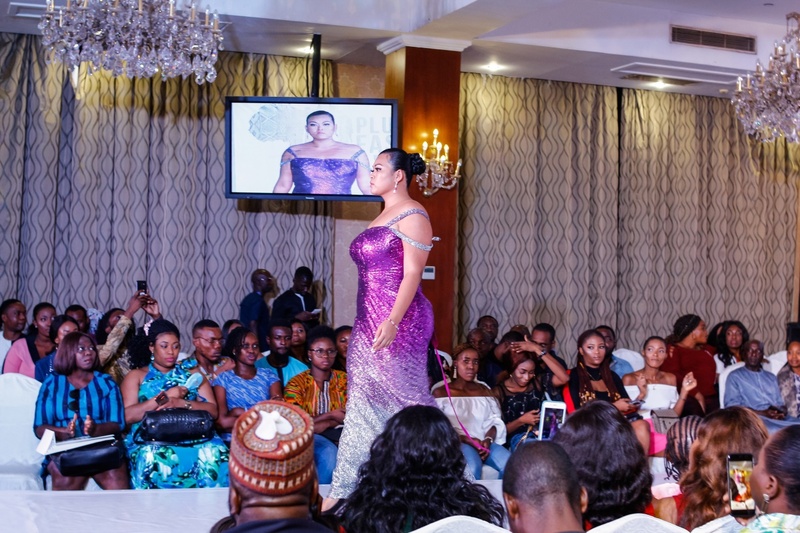 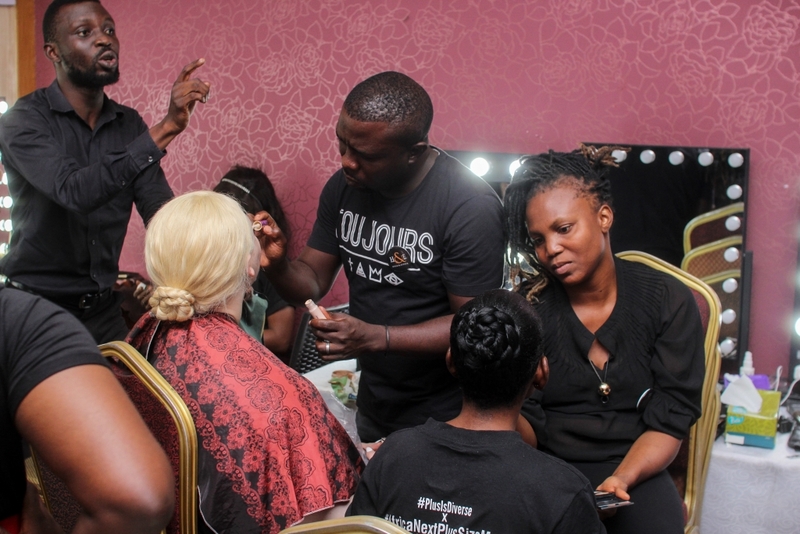 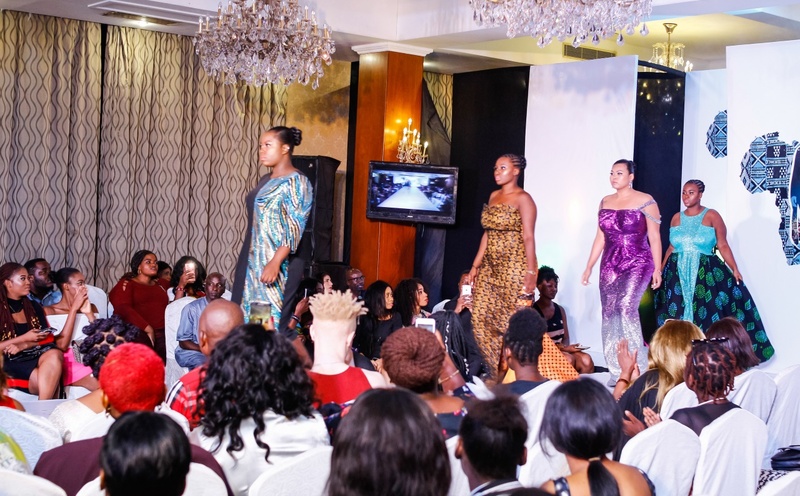 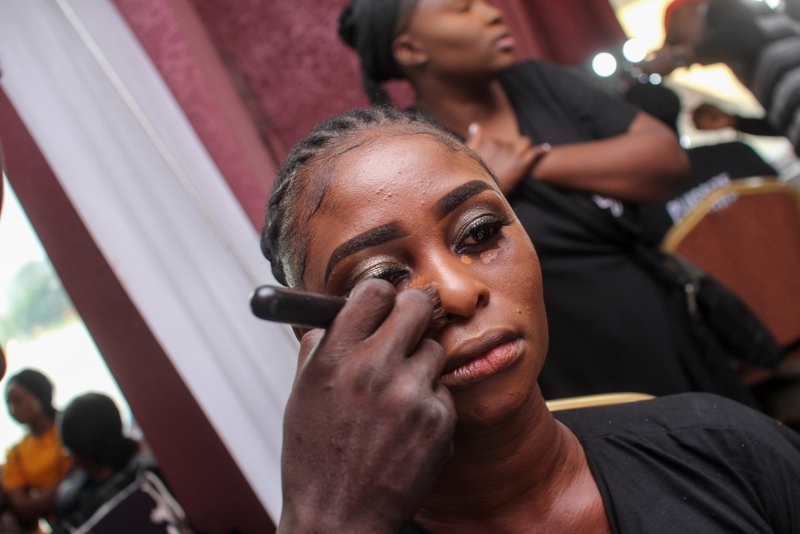 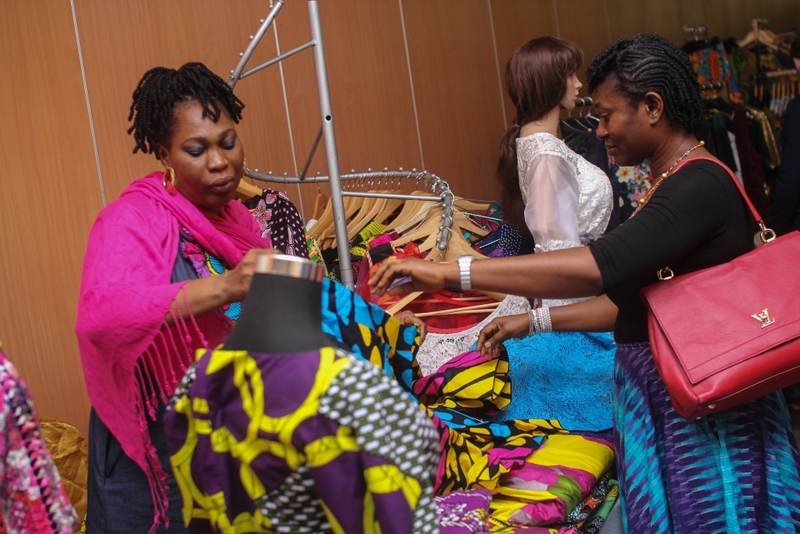 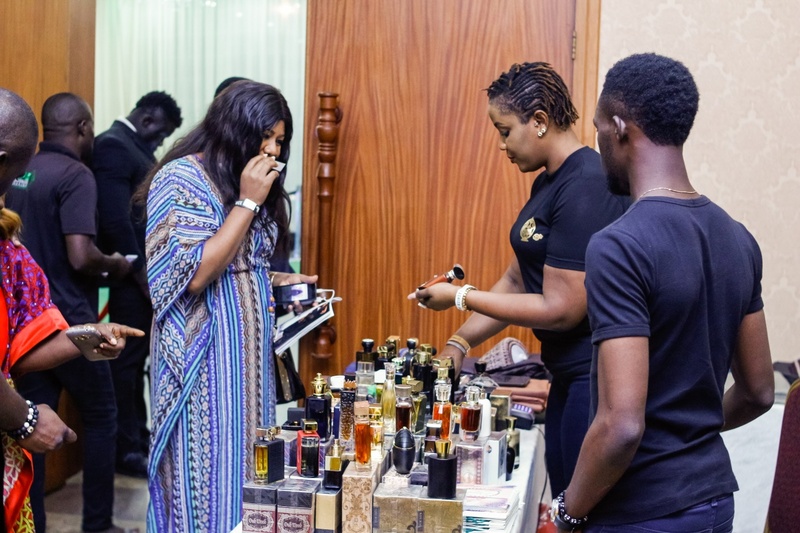 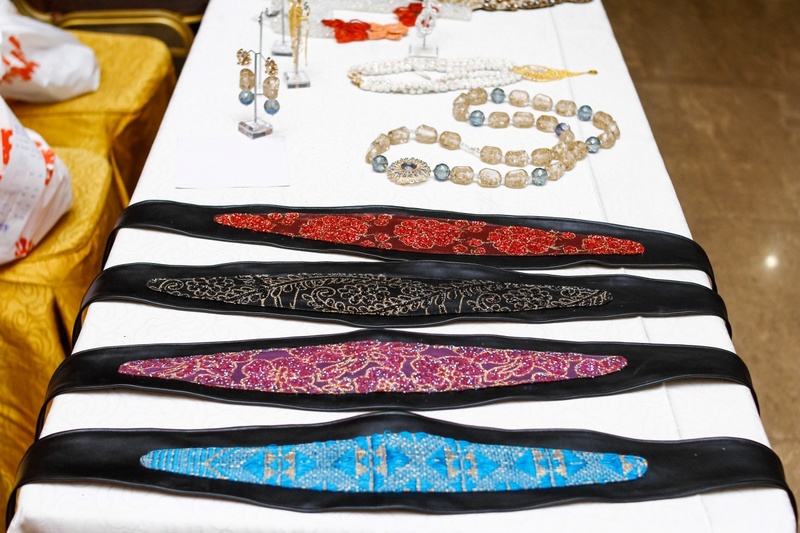 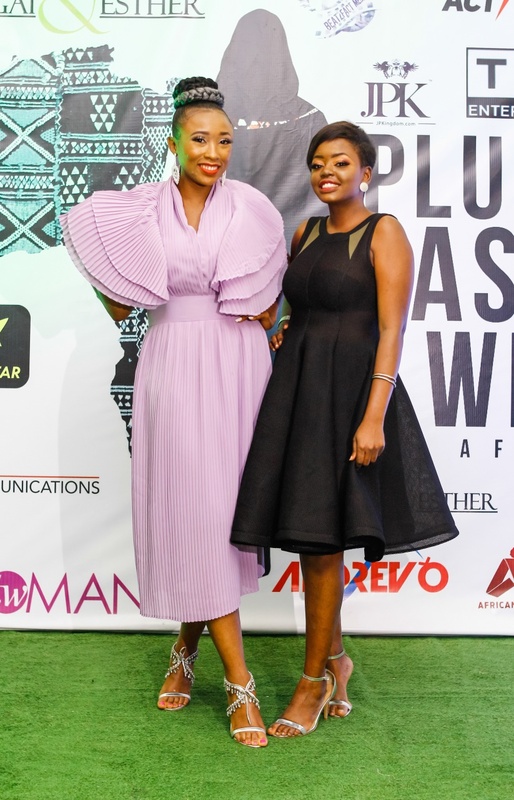 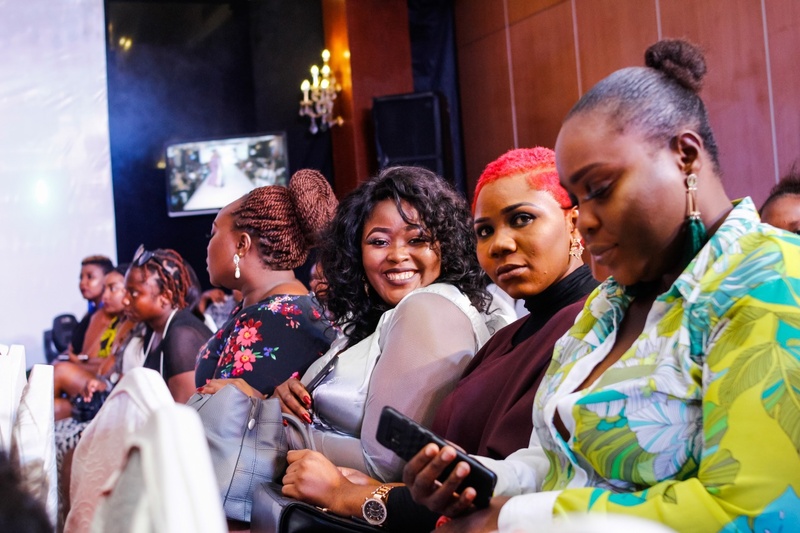 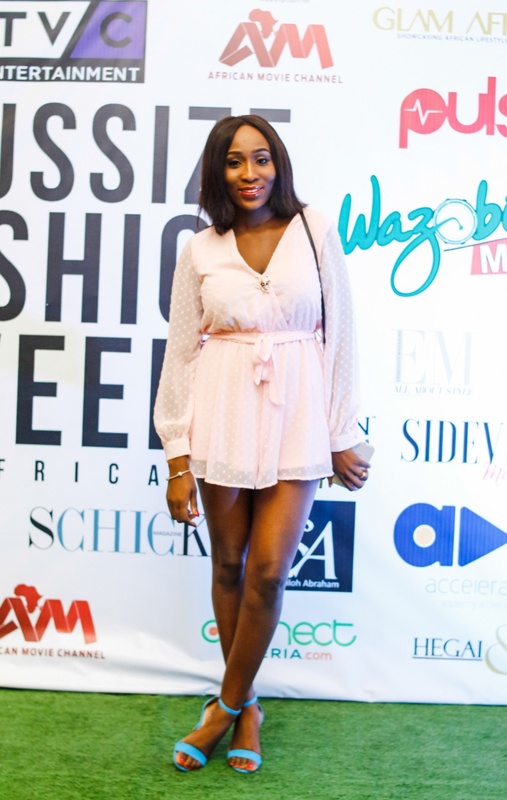 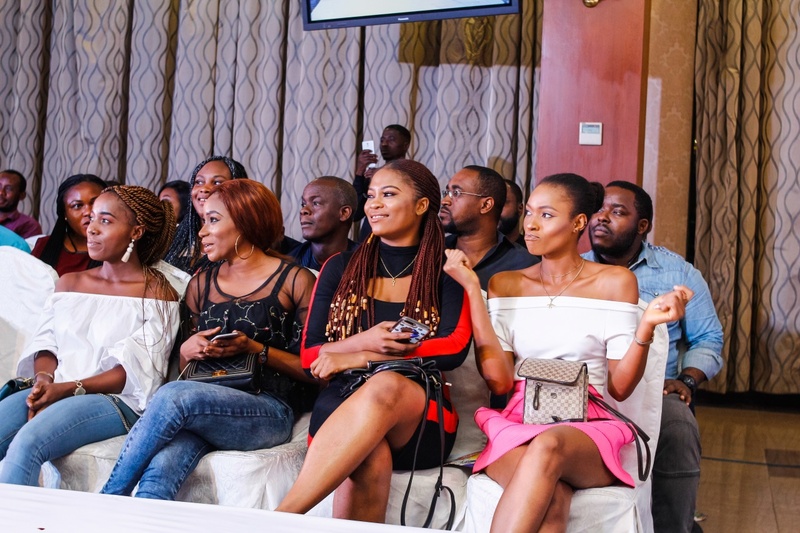 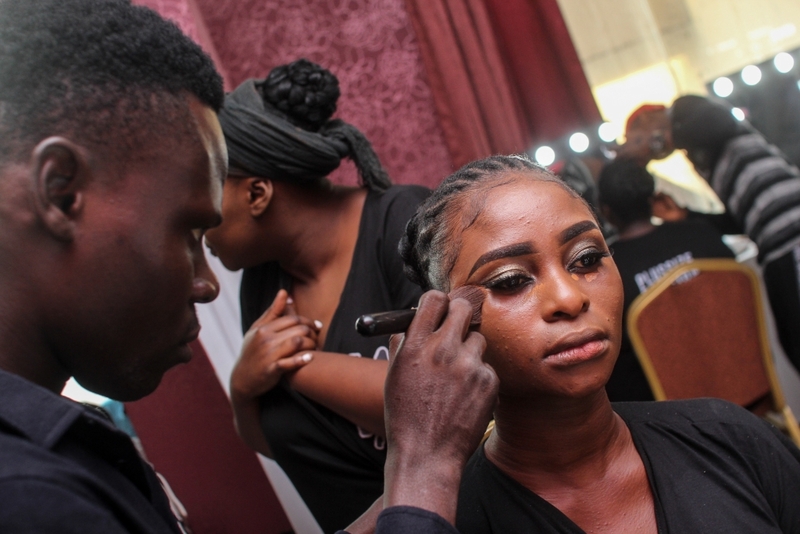 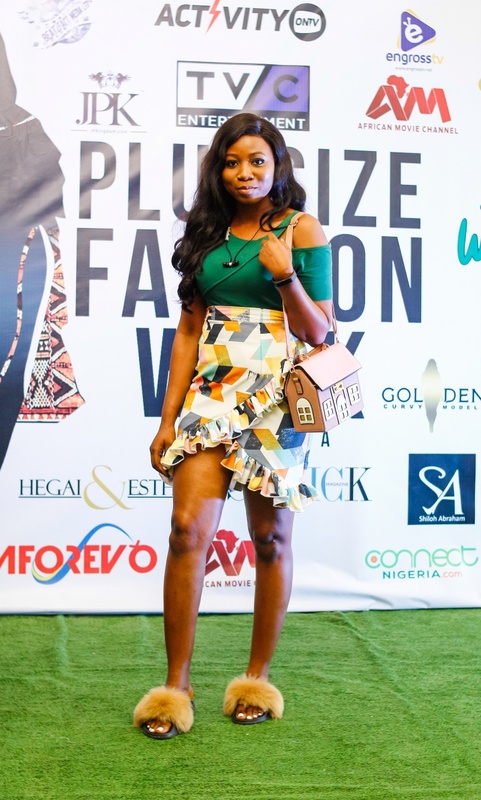 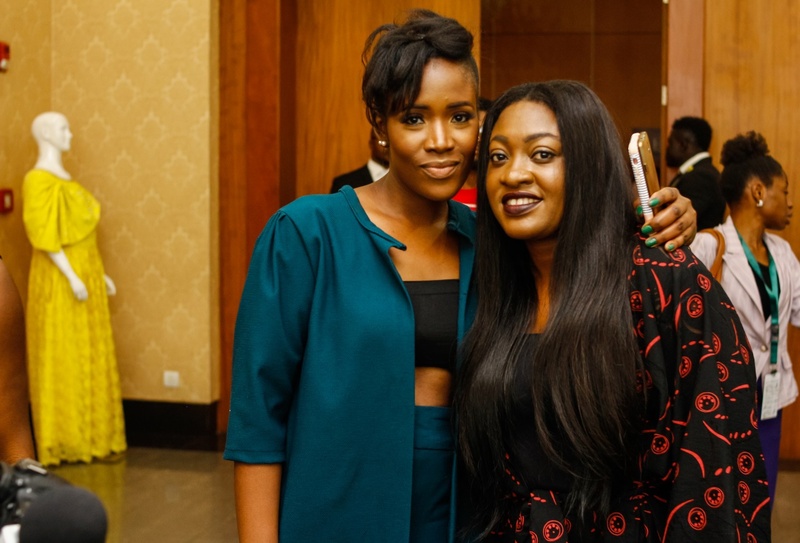 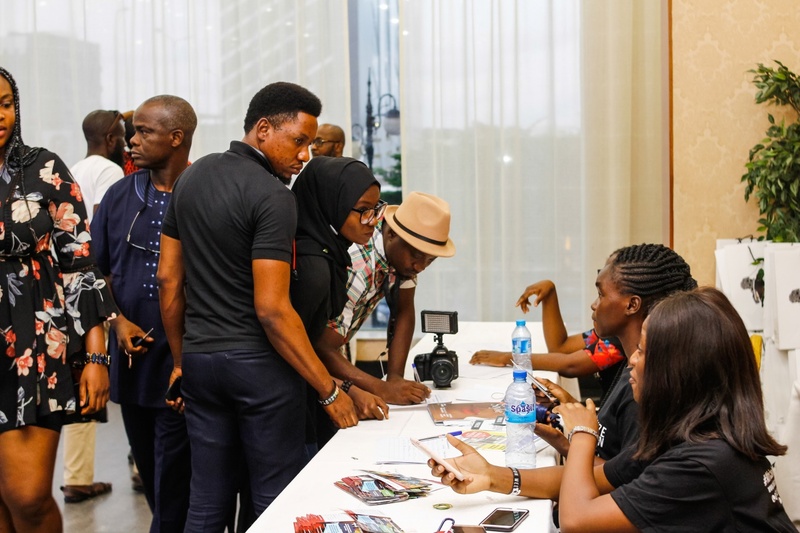 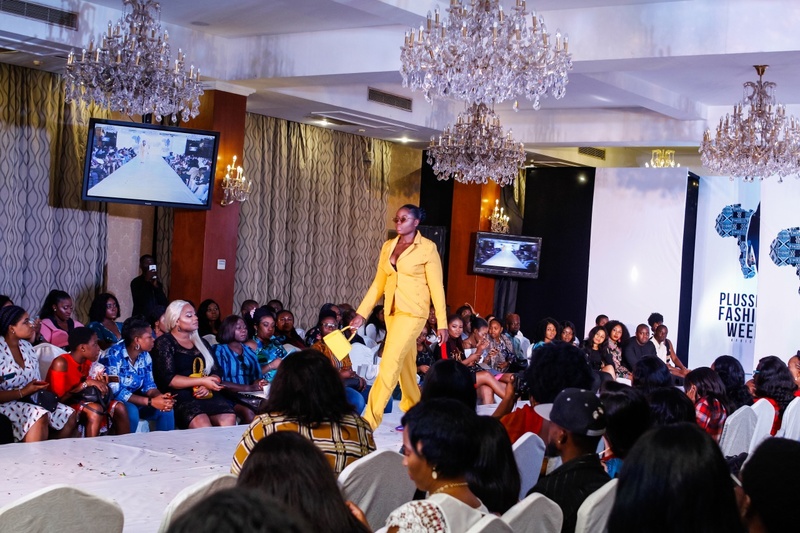 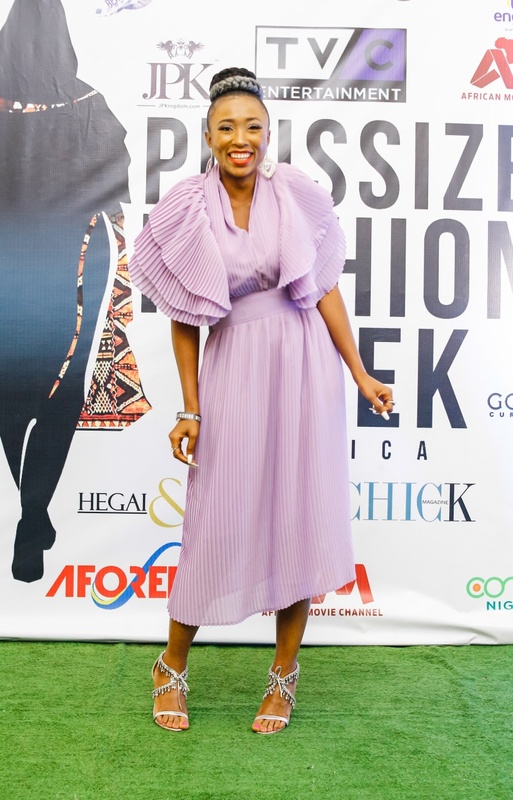 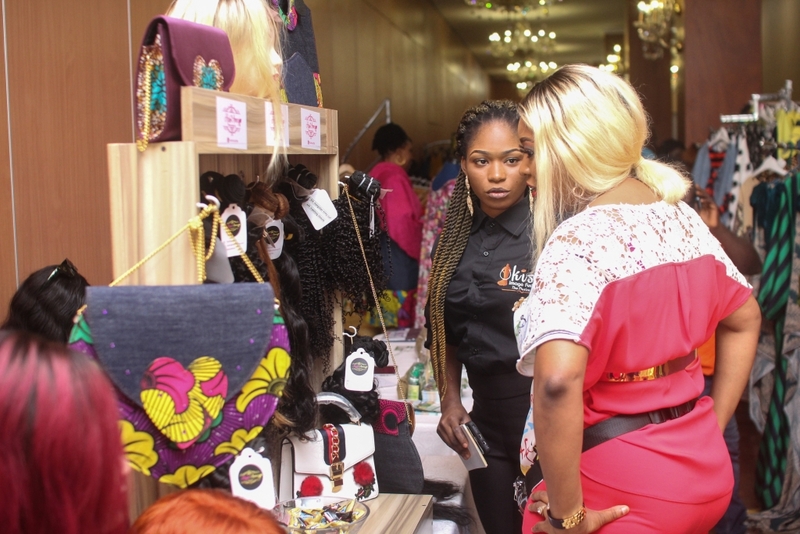 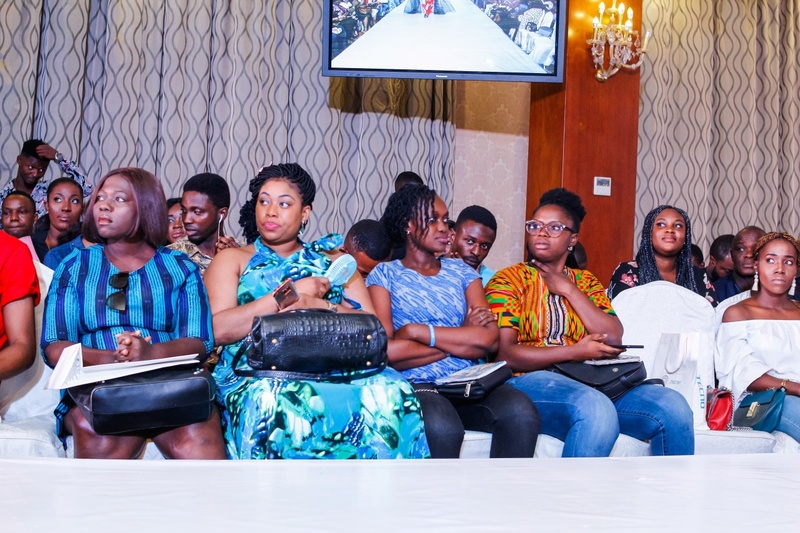 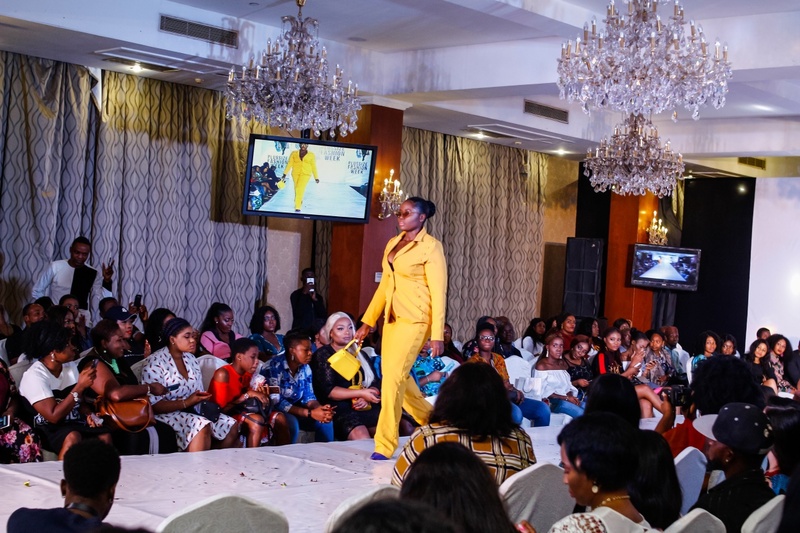 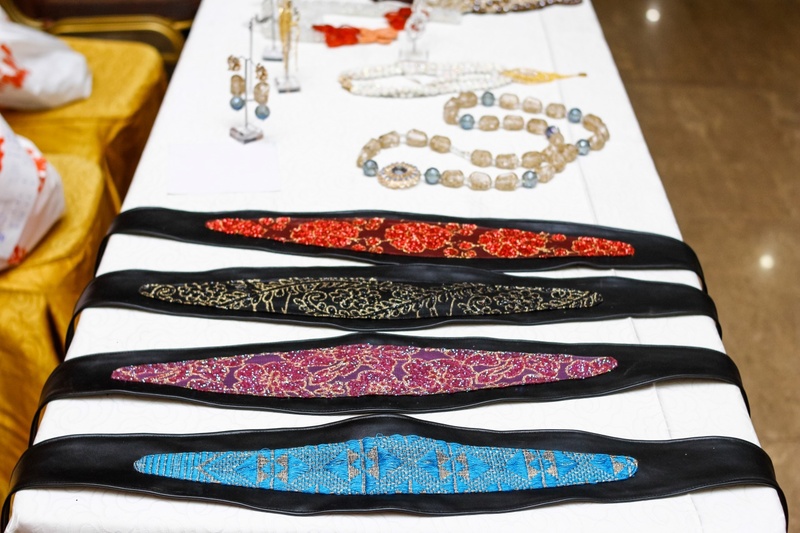 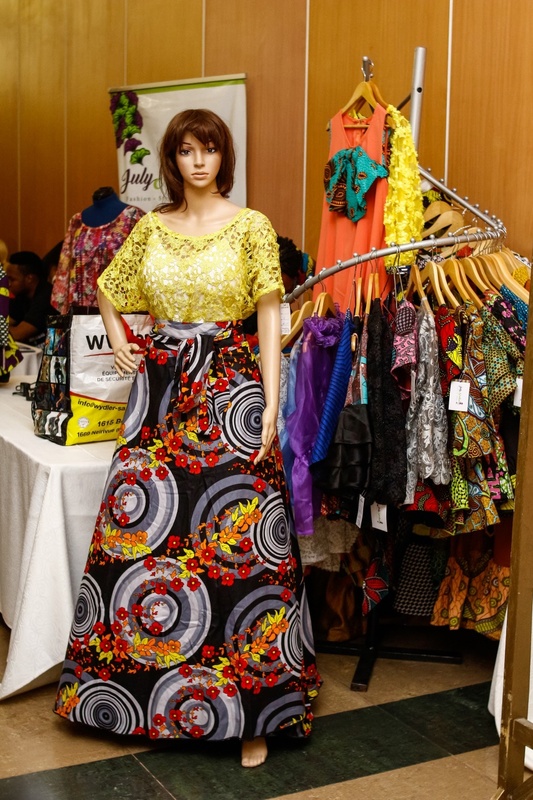 The Fashion show took place on the 3rd and 4th of November 2018 at Oriental Hotel, Lagos featuring designers and exhibitors from all over the world. 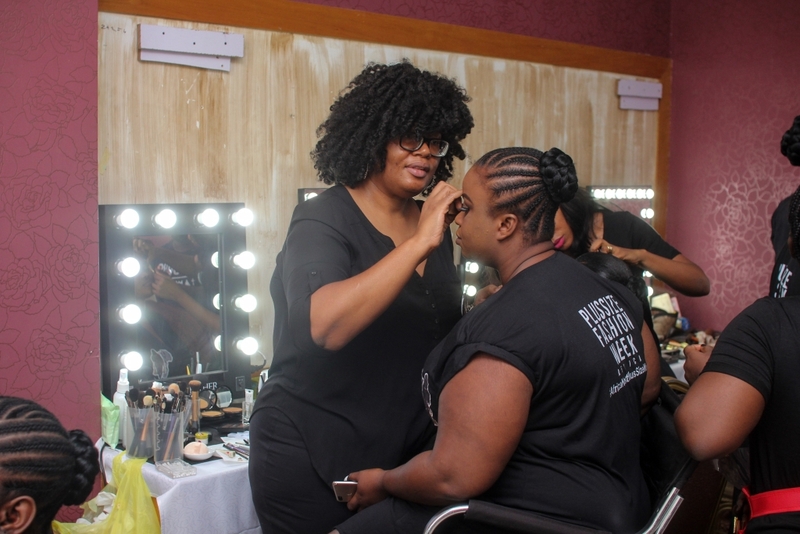 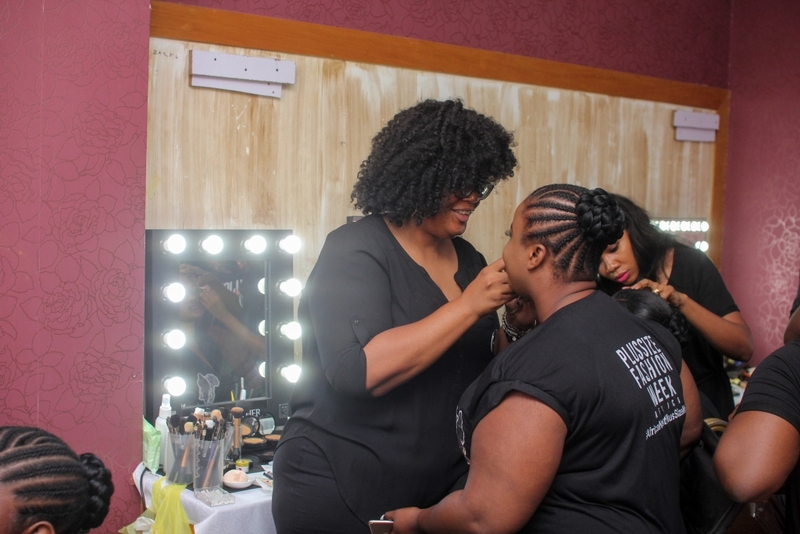 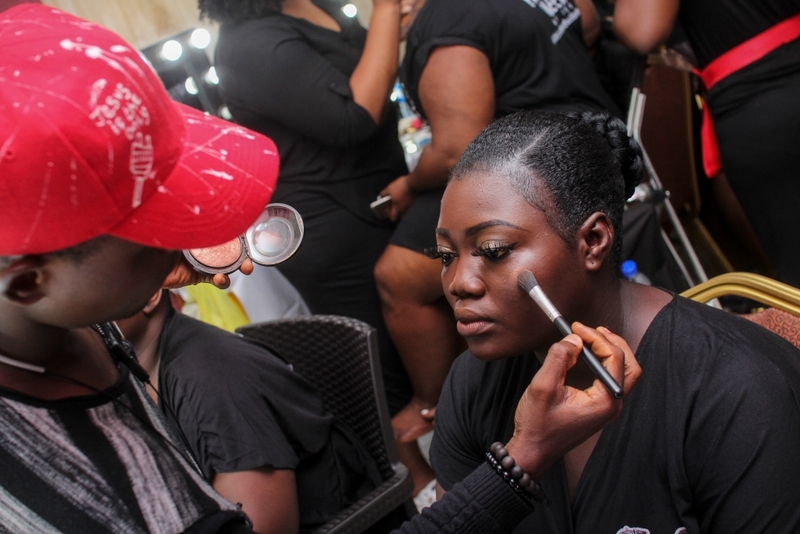 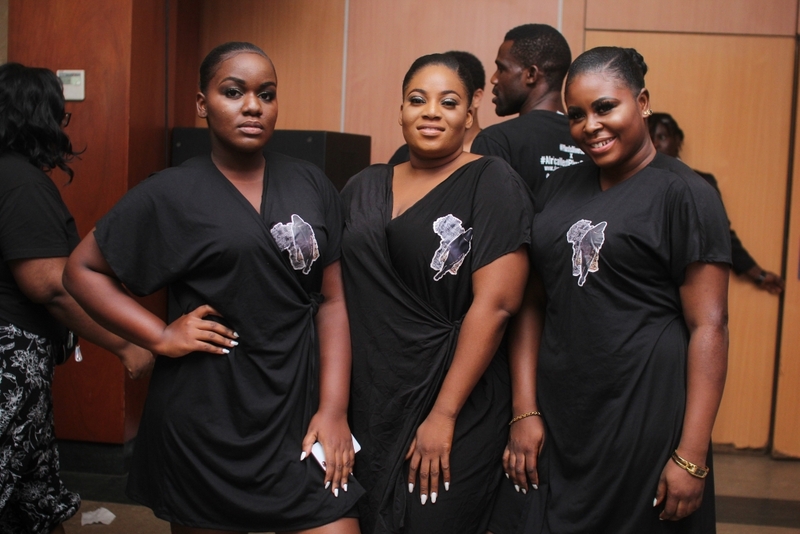 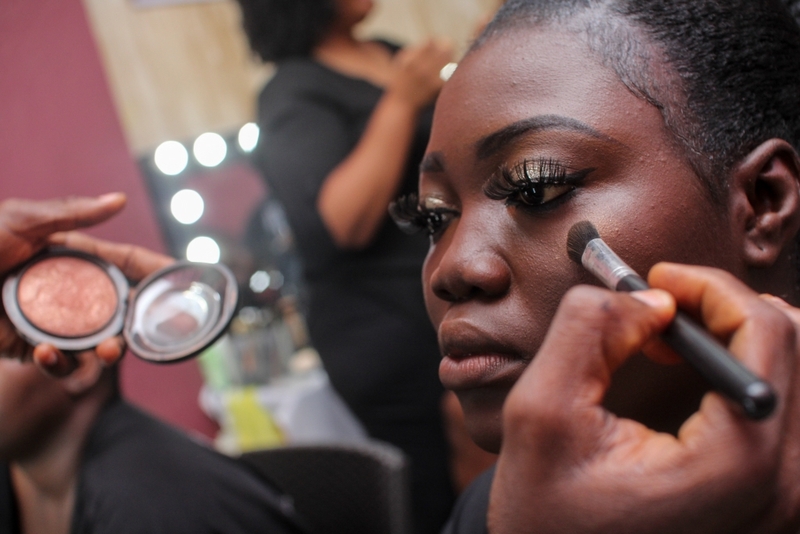 This year’s edition themed #beautifullyme was basically aimed at helping plus sized ladies love themselves more and aim to be the best regardless of what anyone says. 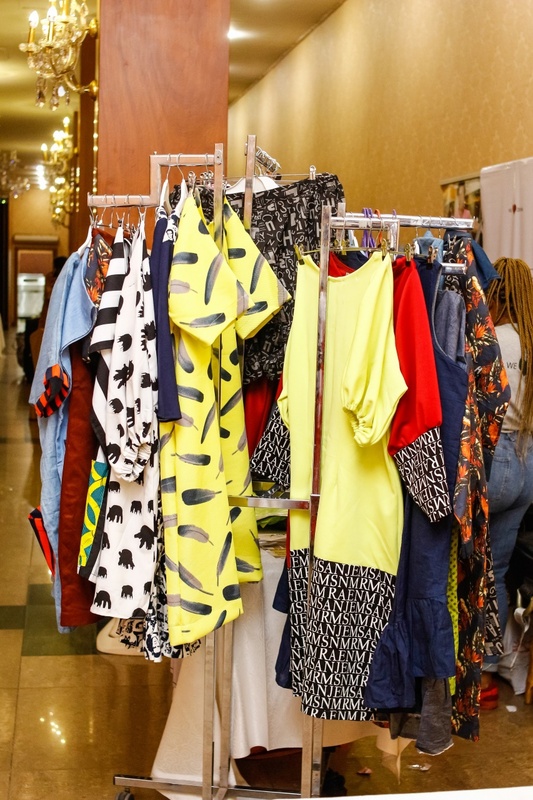 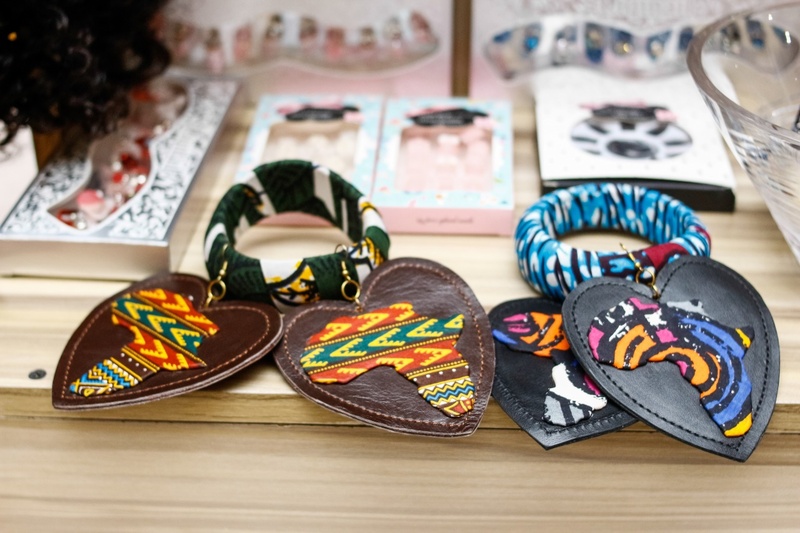 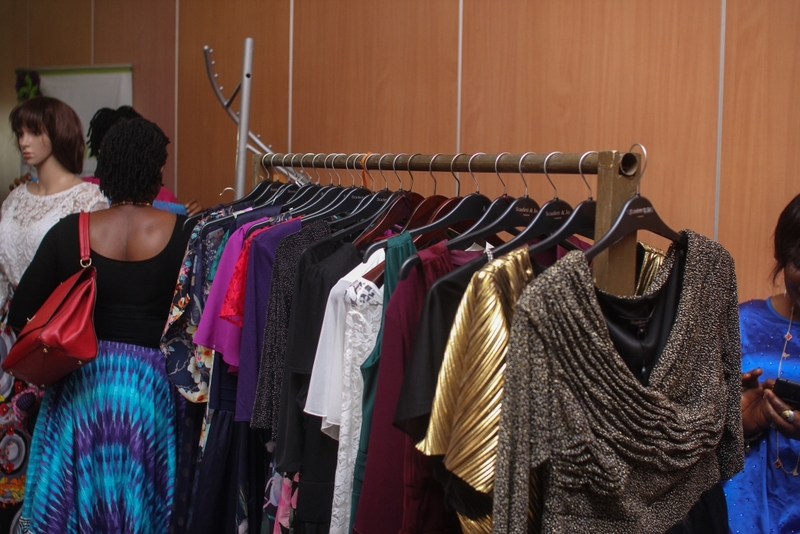 Day 1 of the Fashion weekend kicked off with amazing exhibitors like, Bunaj Stitches, Flow Glow Fashion, Scentiment NG, Mein Store, Sharleen Tlou, Hair by Anney, Okis Signature and many more showcasing their wares and later in the day amazing designers like, JP Kingdom, Modavi, Sharleen Tlou, Perlicious, Fashion by Monalisa Stephen, Areke by Juliet, Agatha Moreno, SGTC, O Sanders, Okis Signature and Ashanti had their exquisite designs modelled across the runway by the Golden Curvy models. 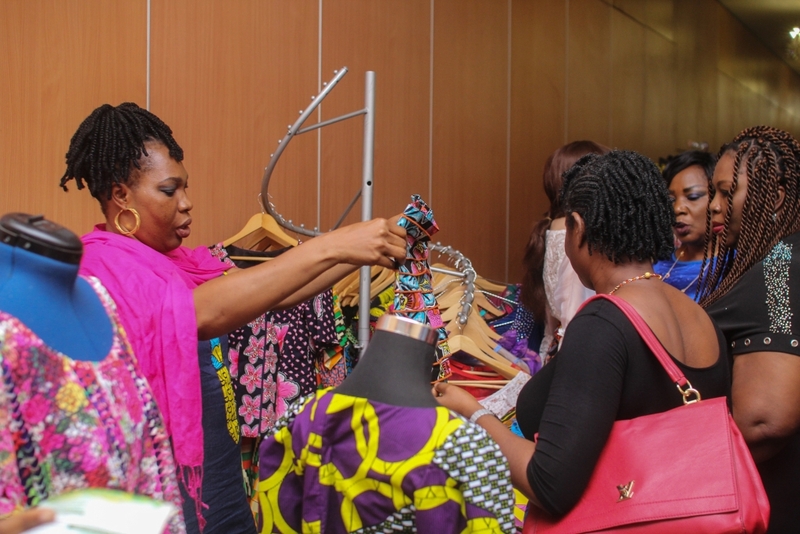 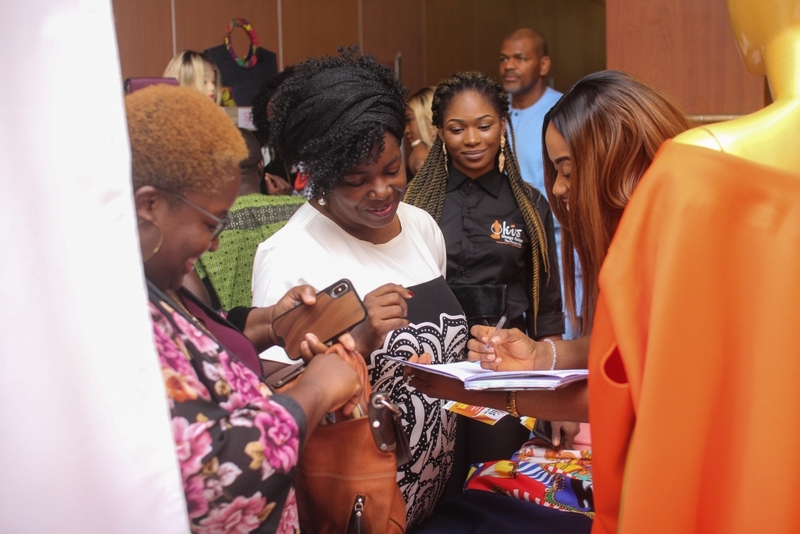 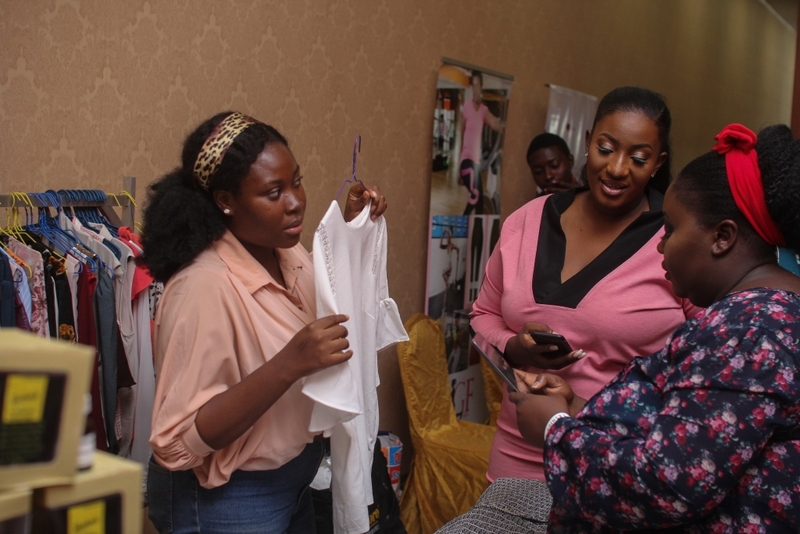 Day 2 continued with our exhibitors as well as a master class themed “Glow up and Flawless” where established and intelligent women like, Omilola Oshikoya, Olubunmi Aboderin Talabi, Dumebi Agbakoba, Moremi Elekwachi, Bukky Karibi-Whyte, Gbemisola Adebayo, Aderonke Eno Adefalujo, Obis Ora, Glory Edozien, Olubukola Akanbi, Titilola Akinkugbe, Chisom Ogbummuo, Olakemi Obi and Temi George Taylor discussed the topics ‘The Courage to Start your Business or excel in your industry’ as well as ‘the courage to start loving yourself’. 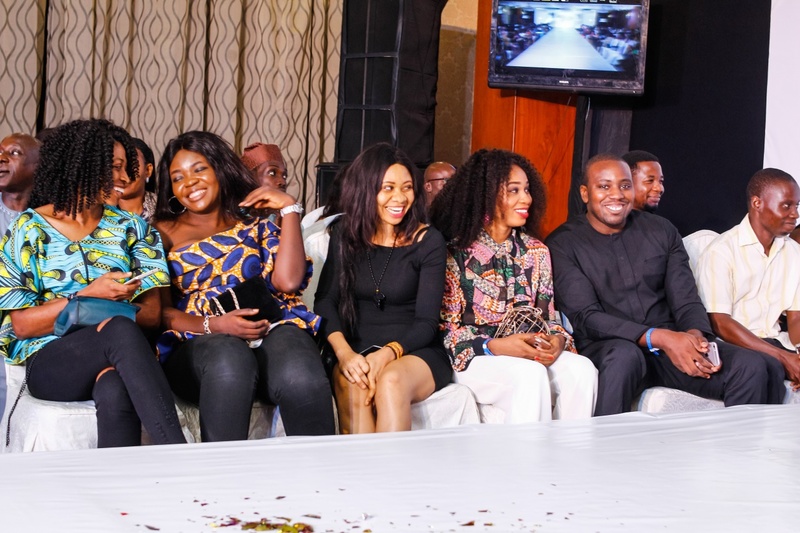 Later in the day the gala night began with even more talented designers like, Scarlet and Jo, Morin O, Von Ray Design and Ejiro Amos Tafiri gracing the runway. 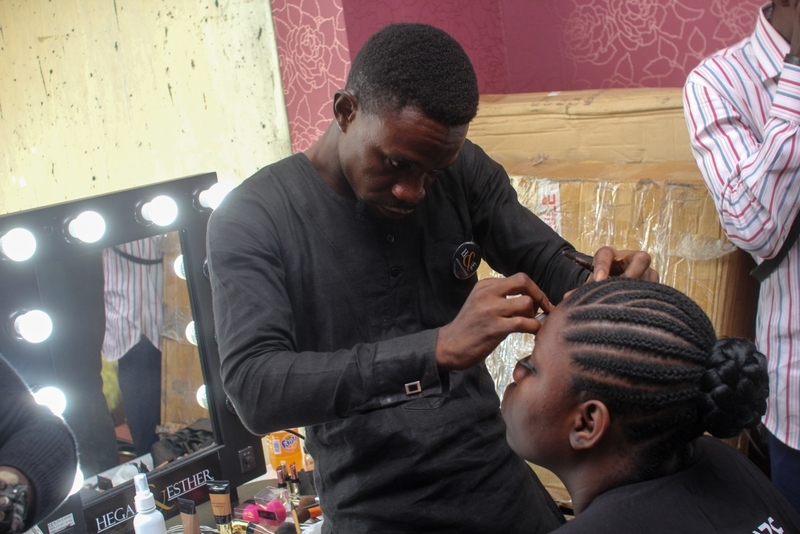 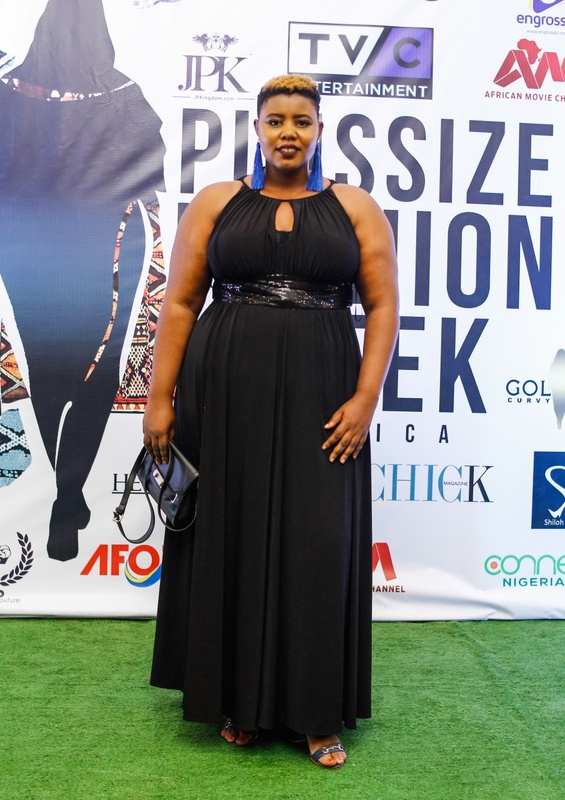 After which the winner of Africa Next Plus Size Model (ANPM) competition was announced. 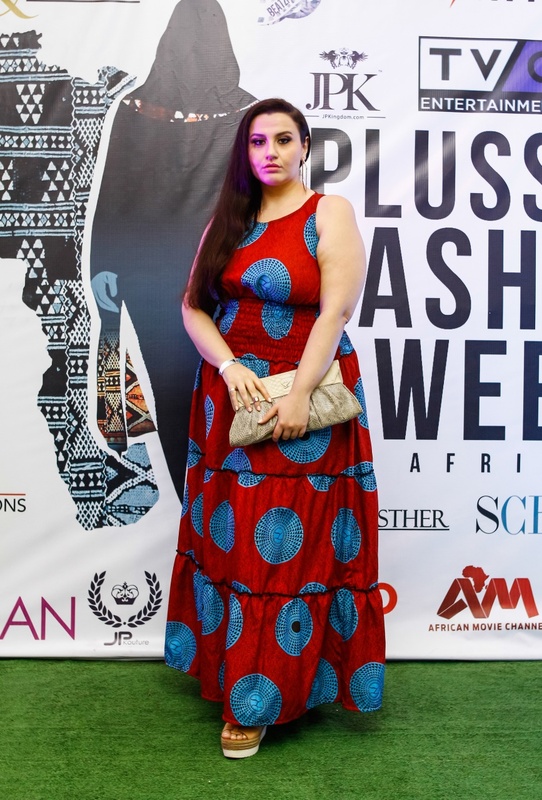 Abara Nita Ijenna, being the winner of the competition got herself an international modelling contract. 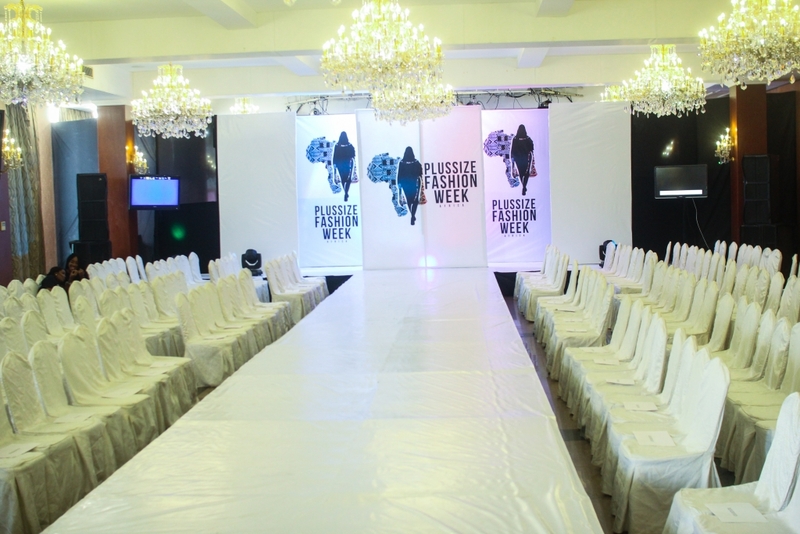 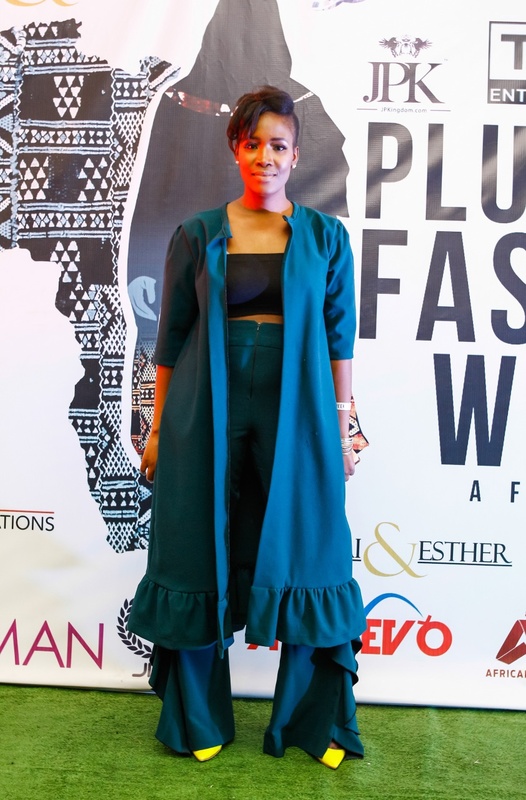 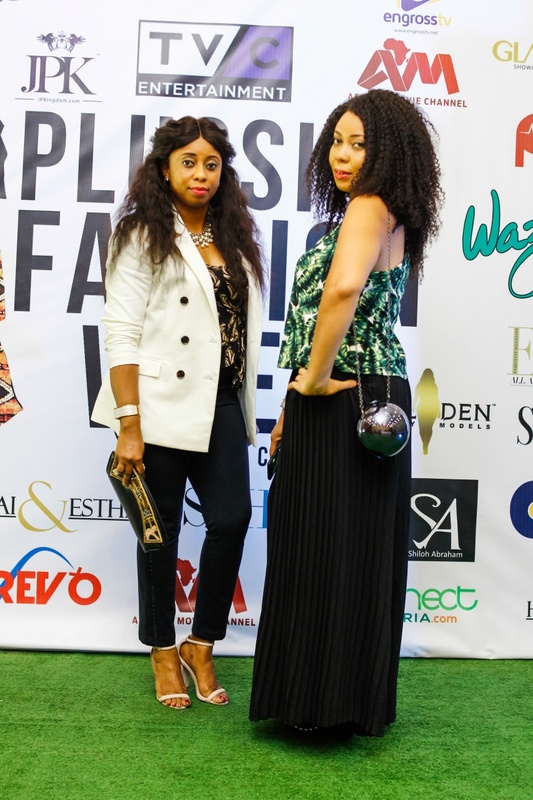 The PFWA influencers also walked the run way in their beautifully sequenced pieces by JP Kouture. 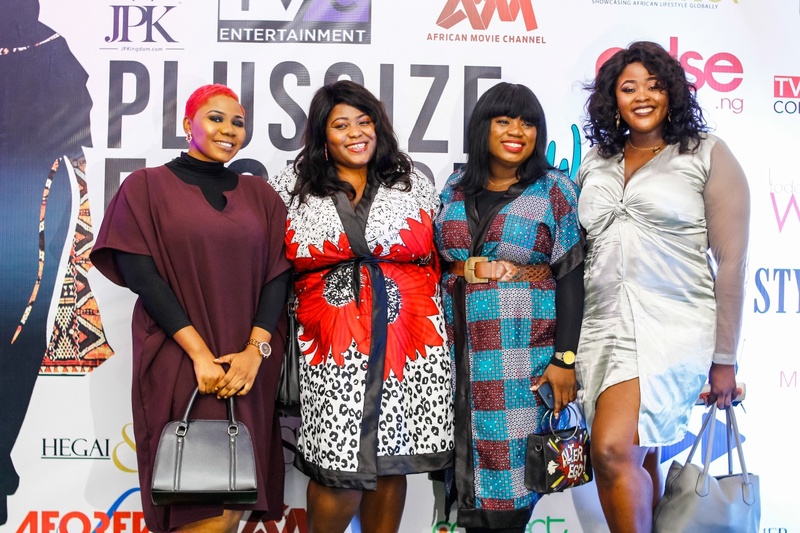 Special recognition awards were also presented to Eniola Badmus (Pride of Africa, Best Actress), Yetunde Ogunnubi, AKA Yetty D (Pride of Africa, PR Guru) and Olakemi Obi (Pride of Africa, Fast Rising International Model). 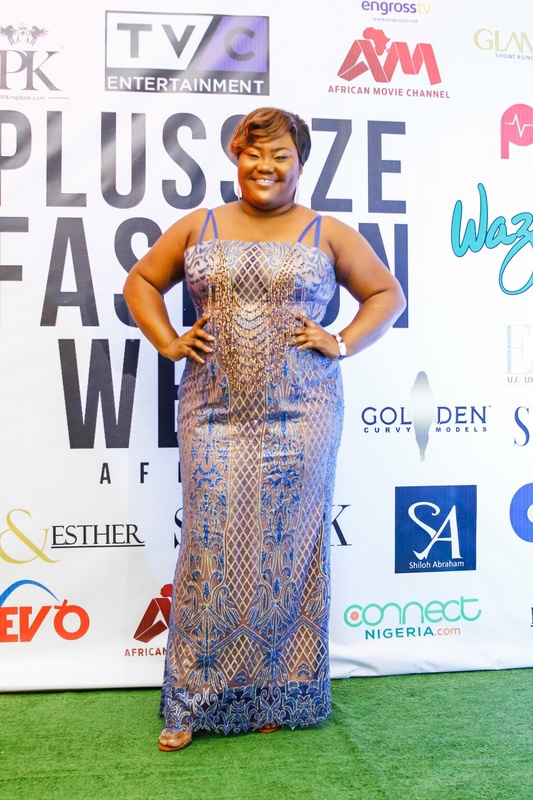 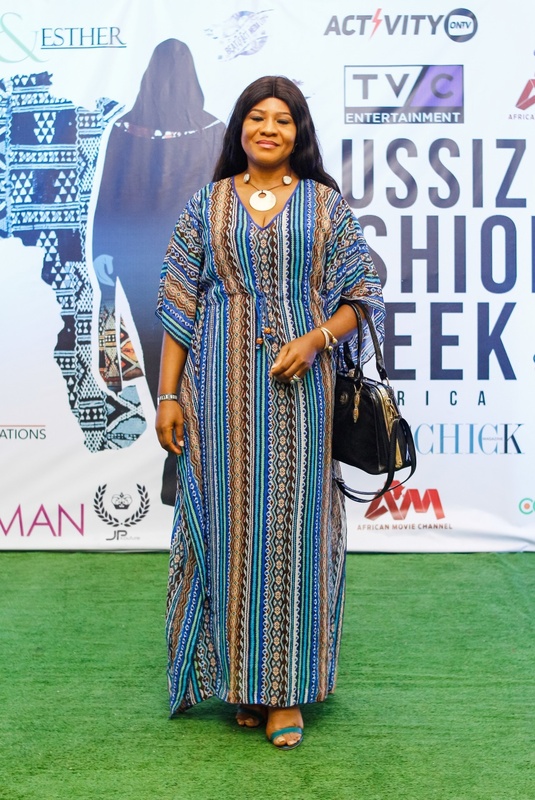 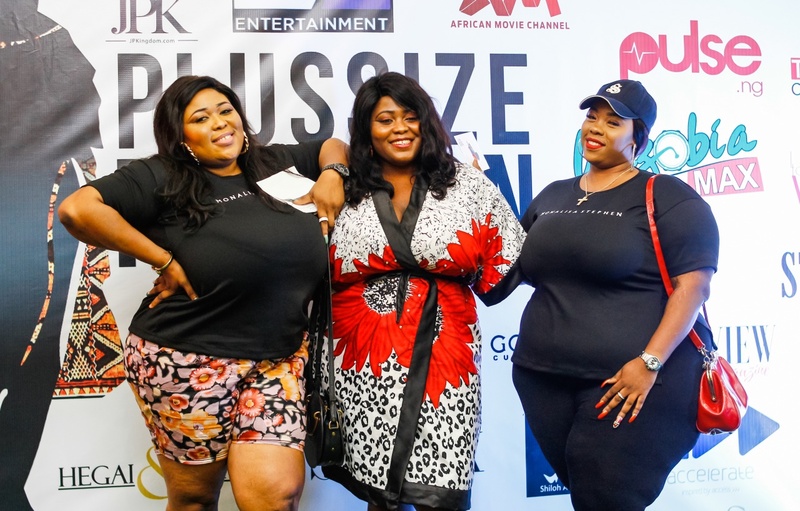 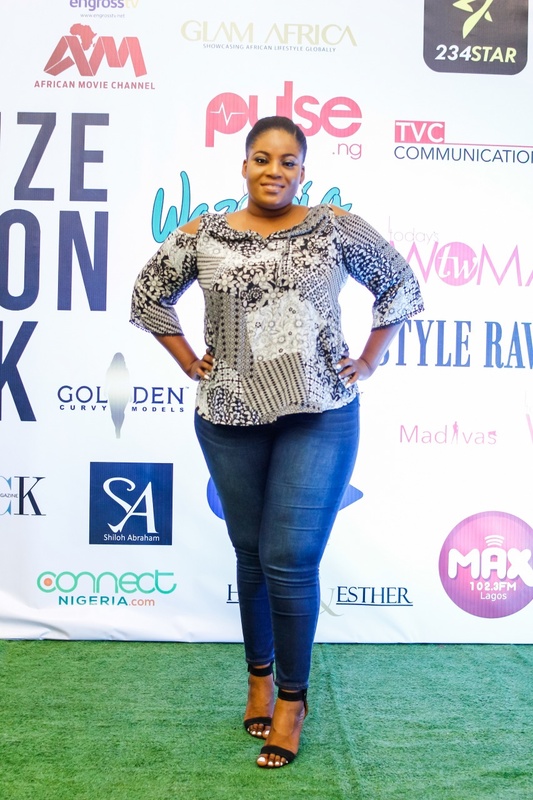 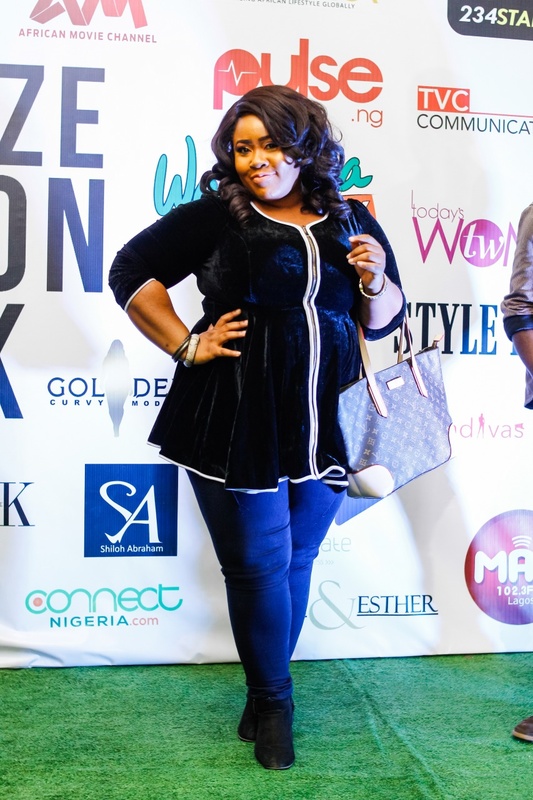 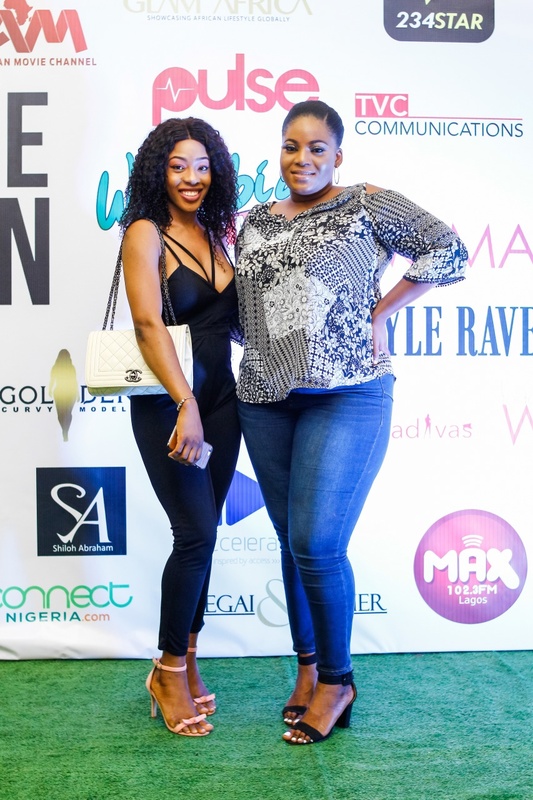 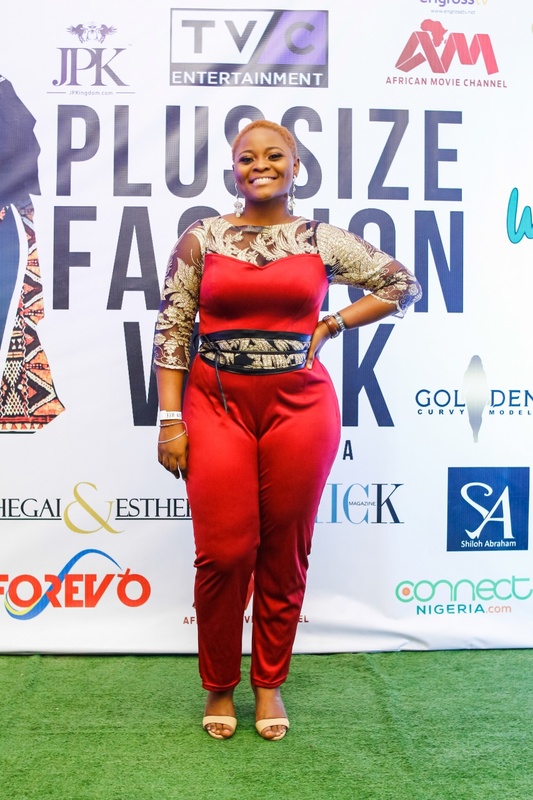 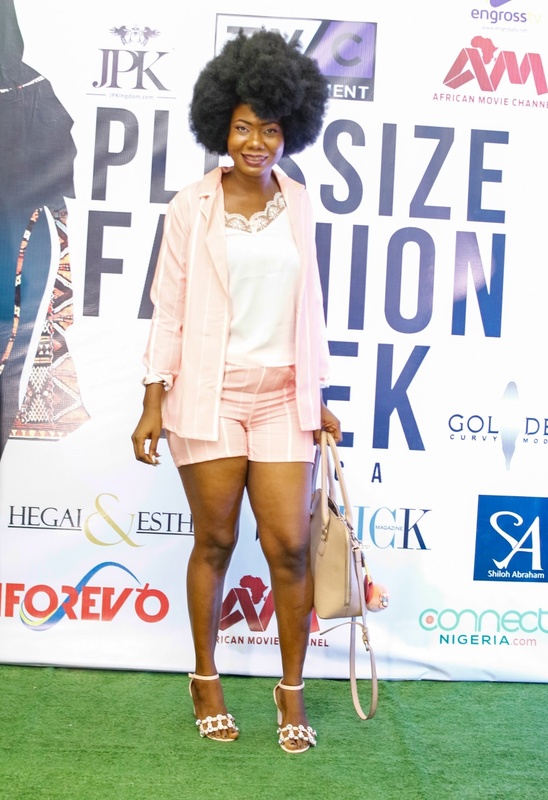 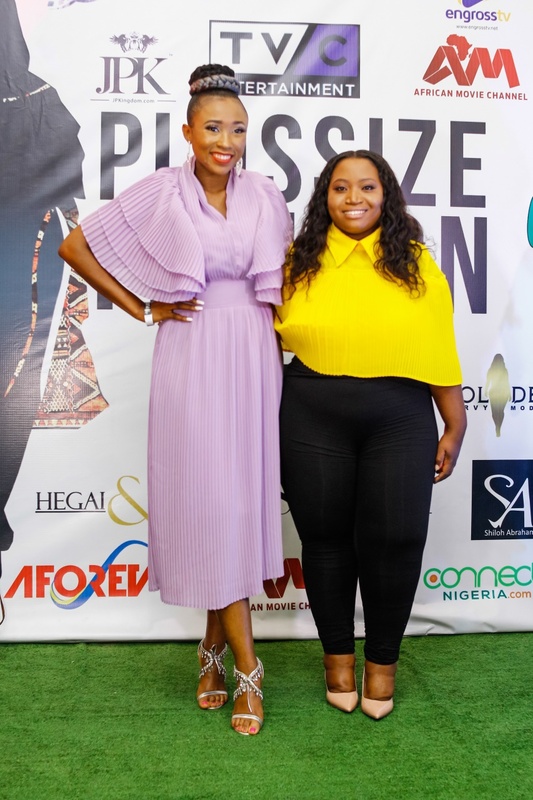 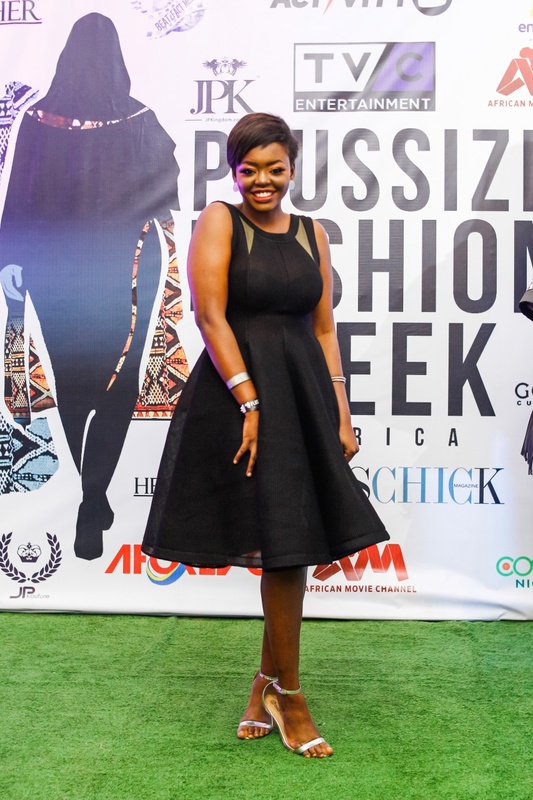 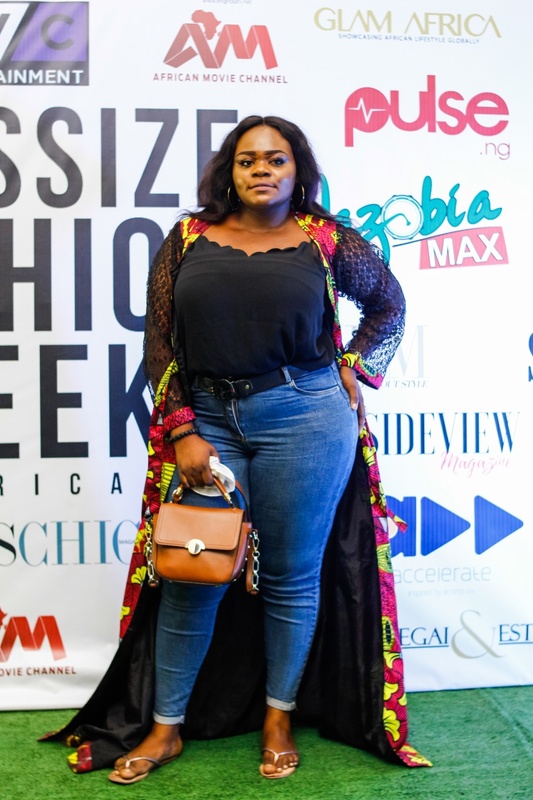 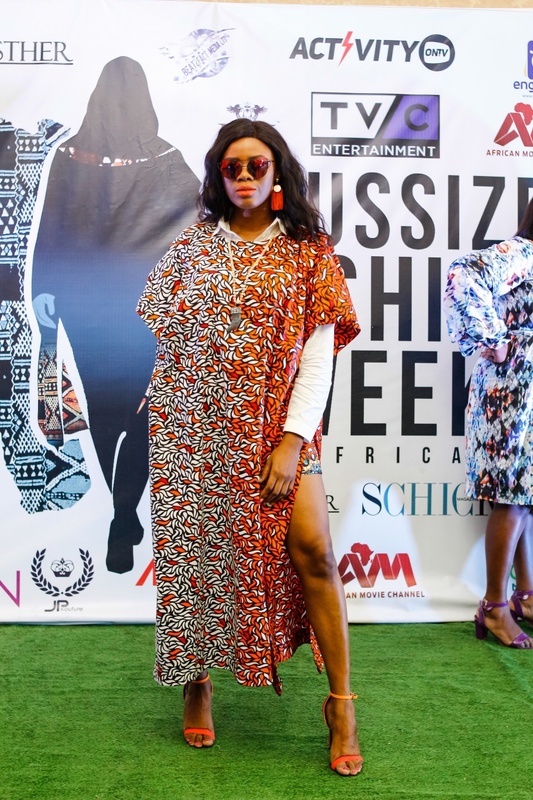 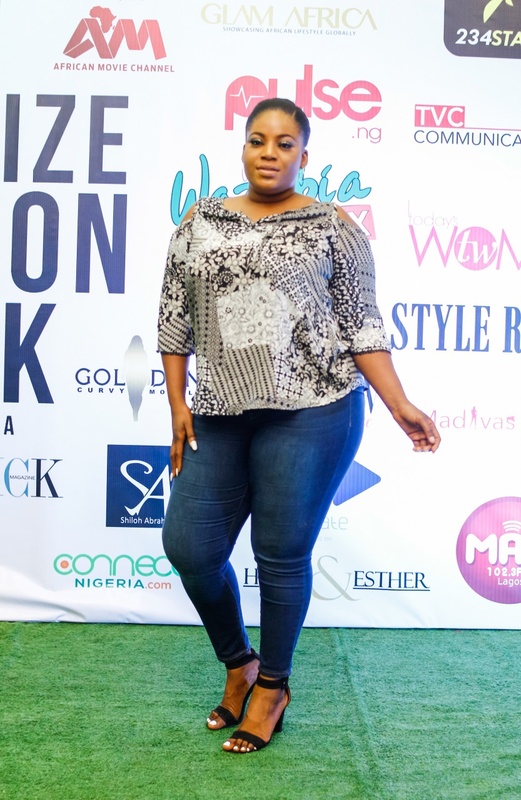 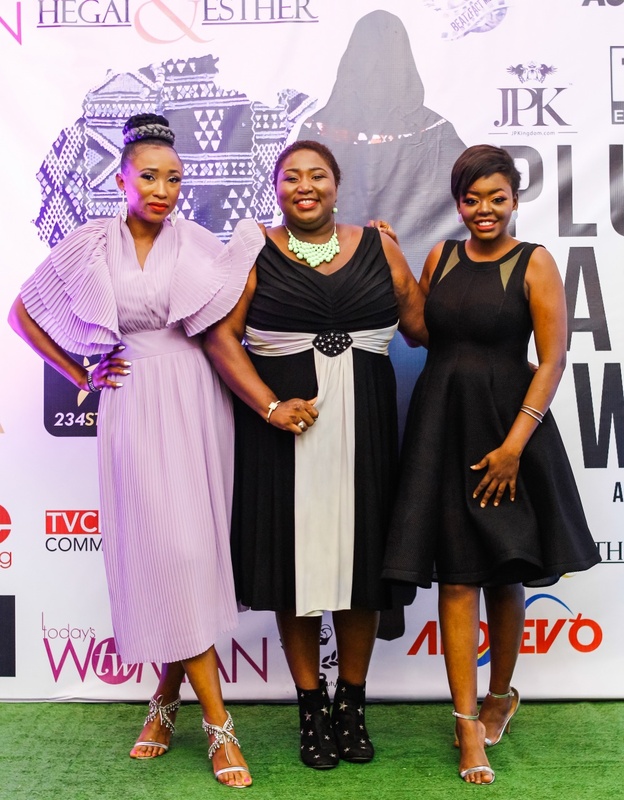 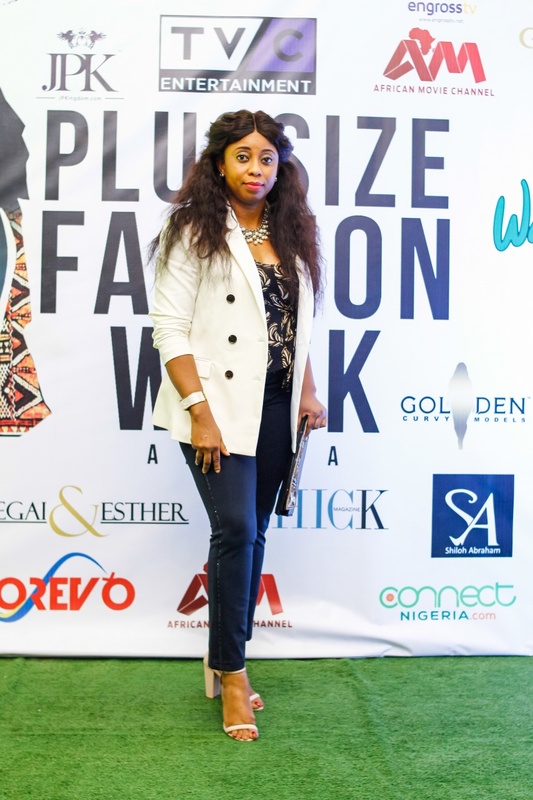 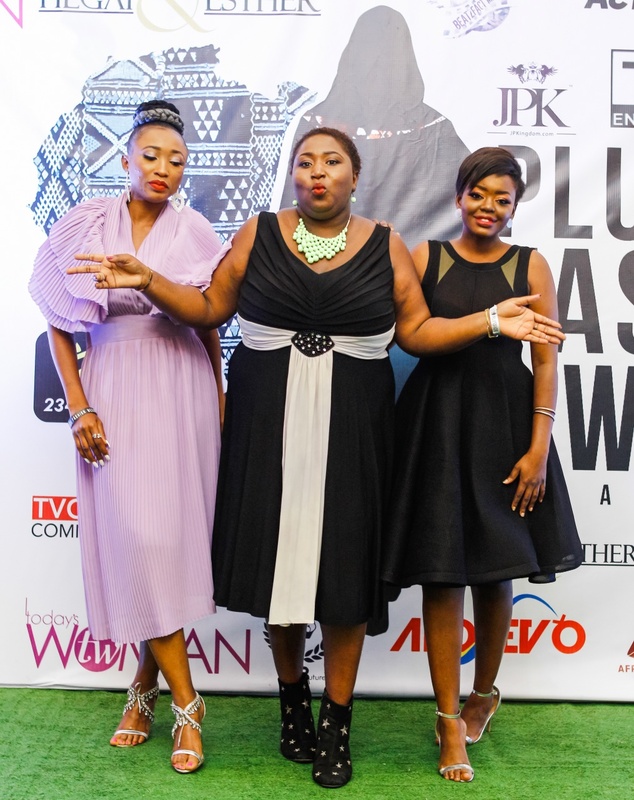 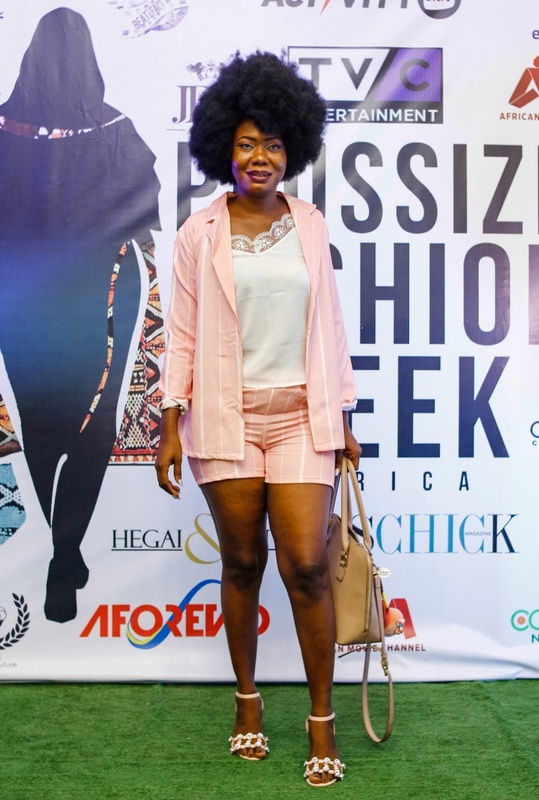 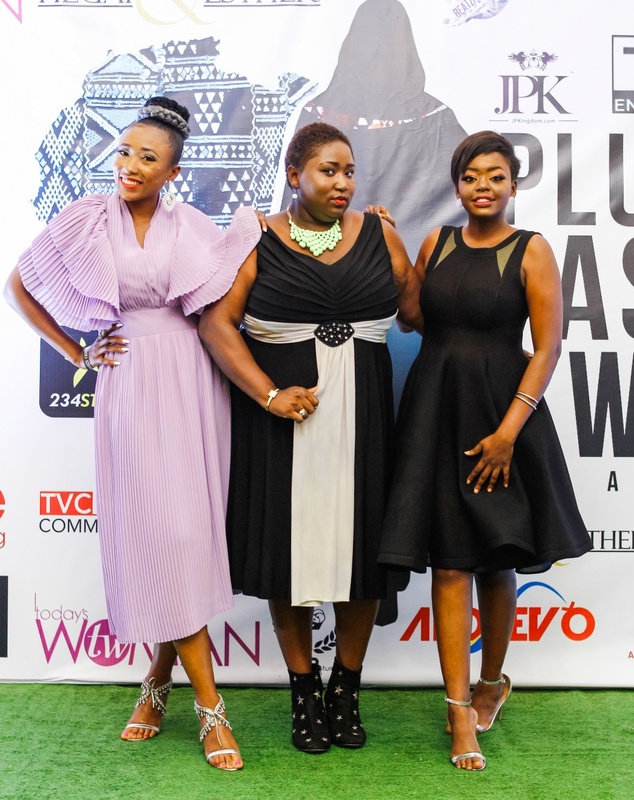 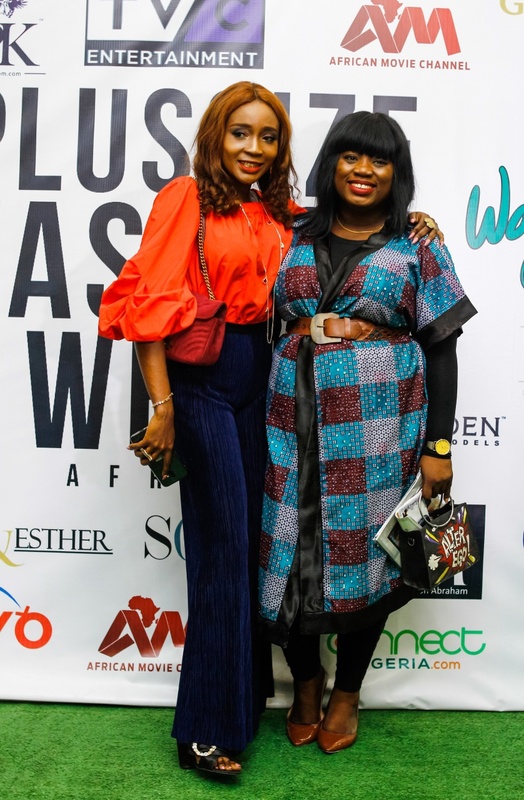 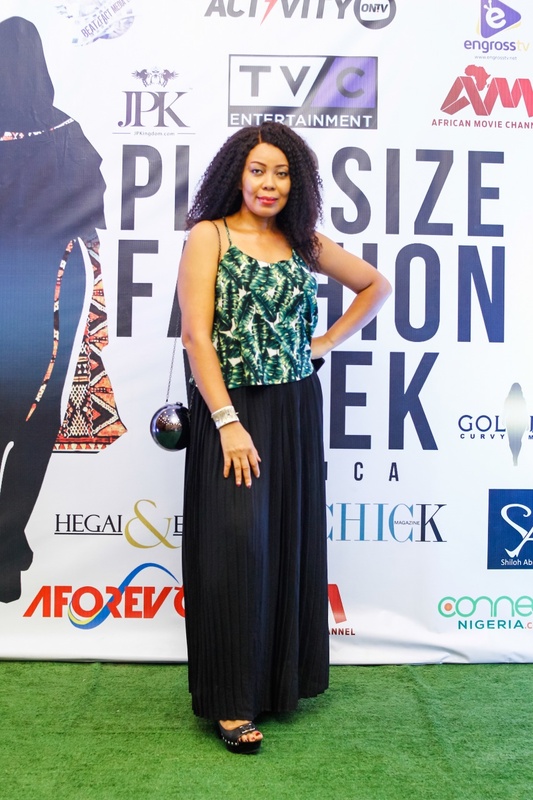 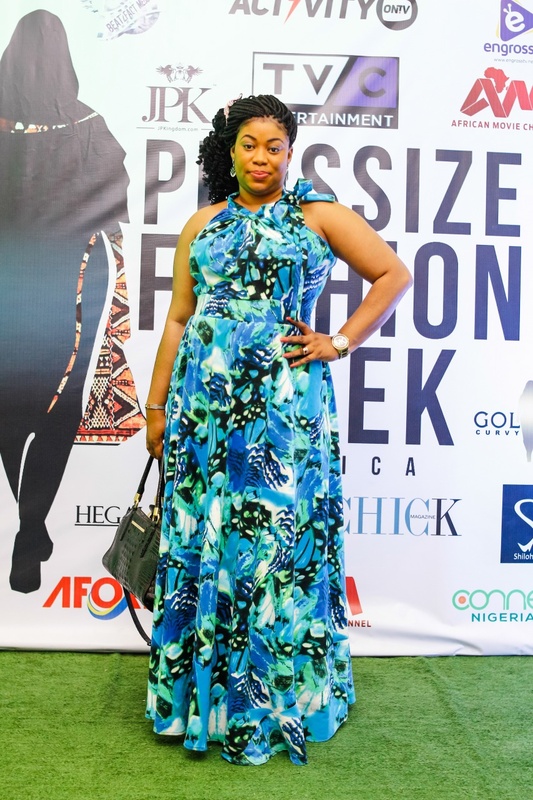 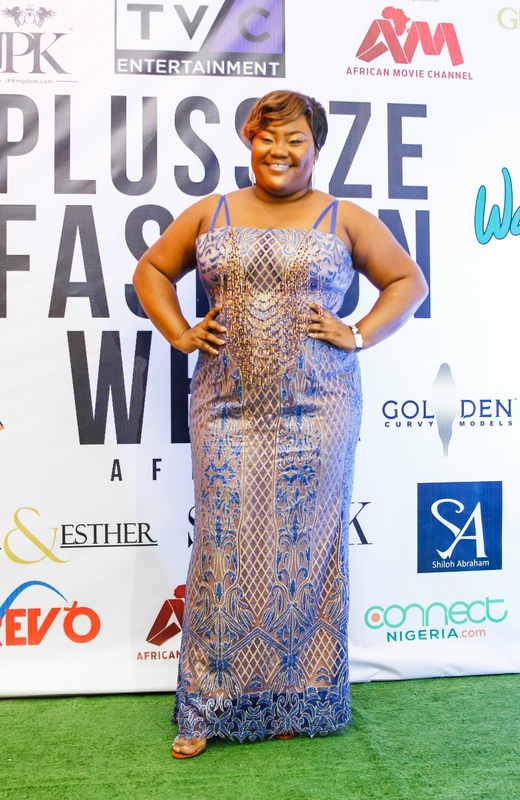 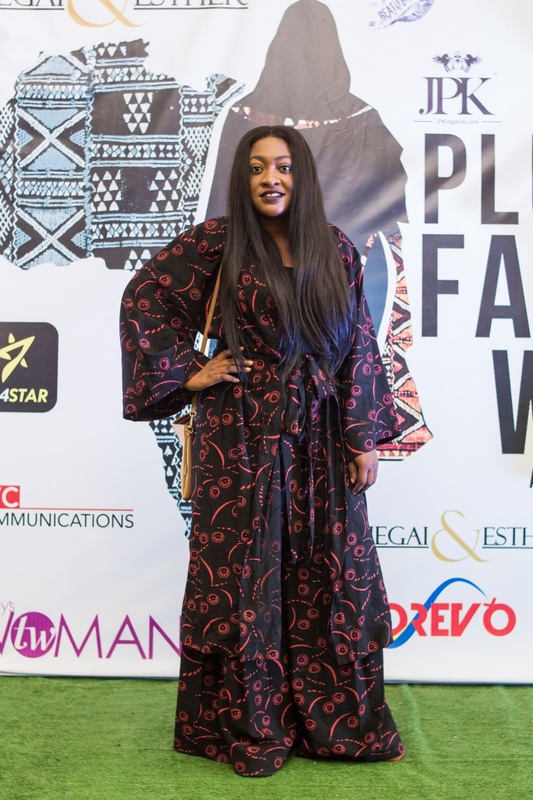 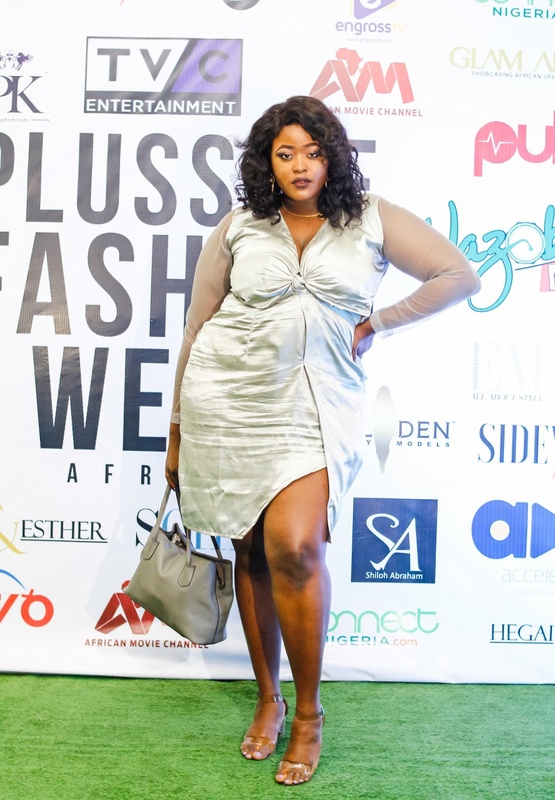 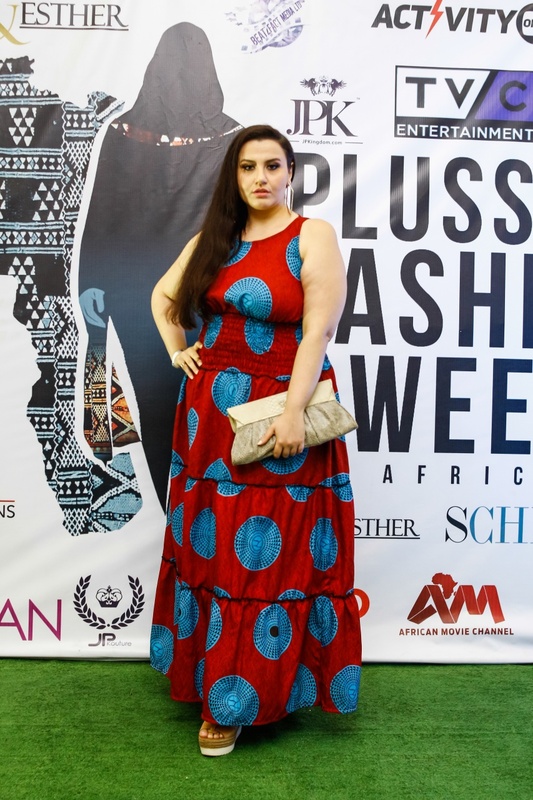 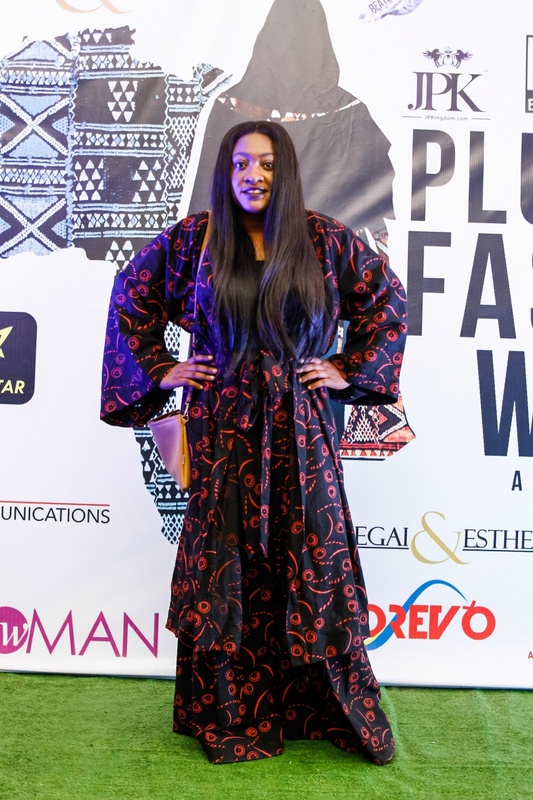 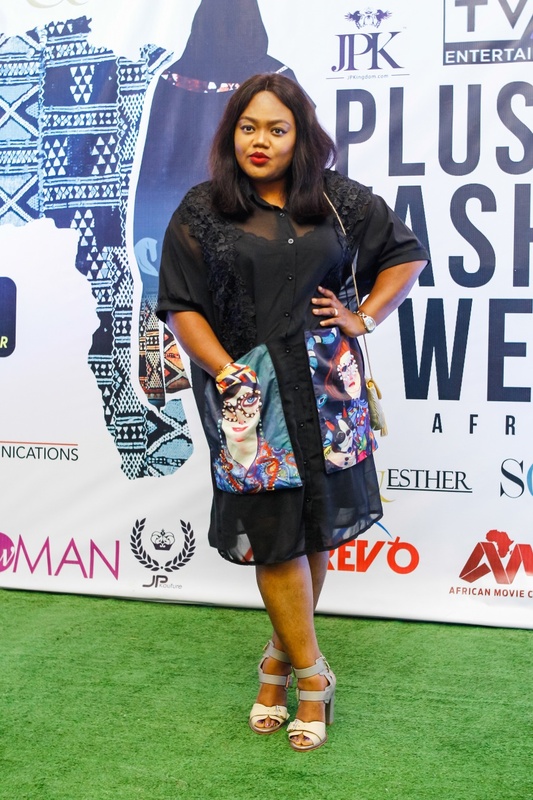 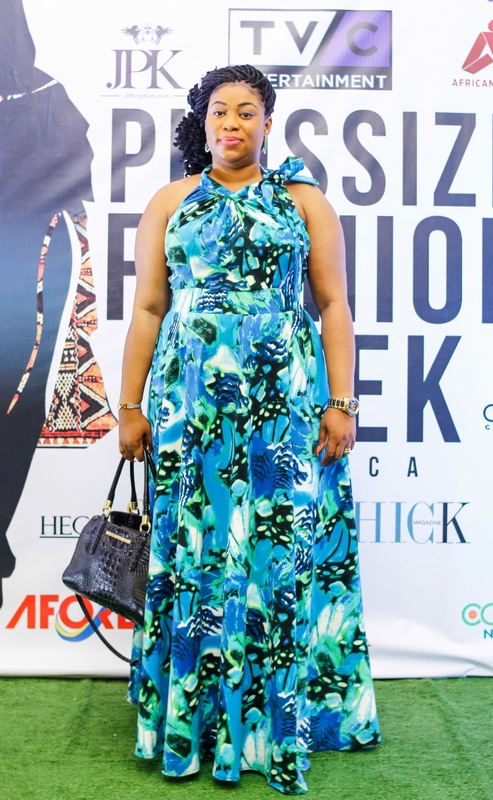 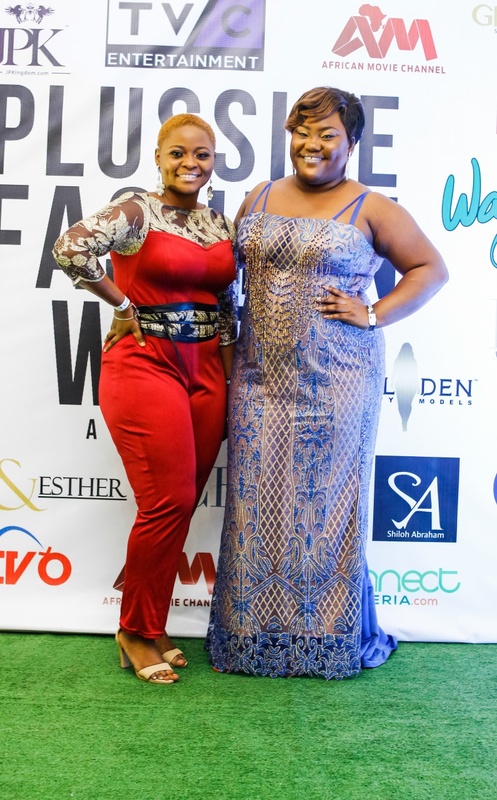 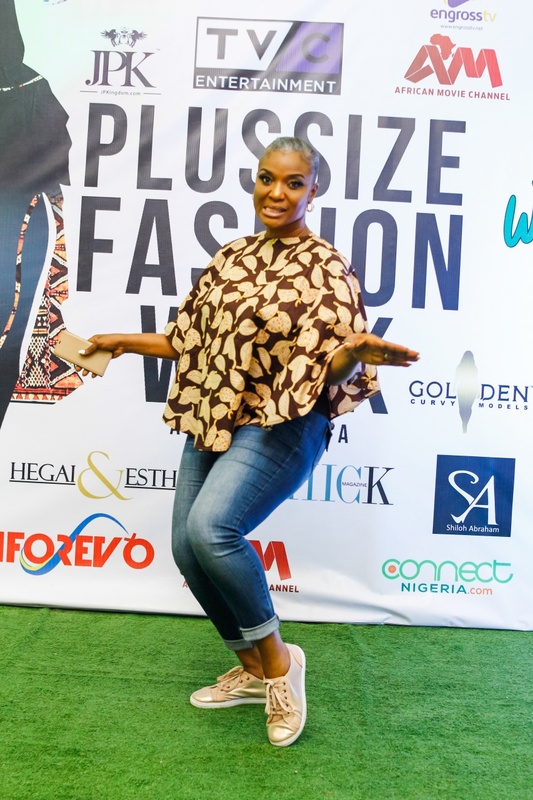 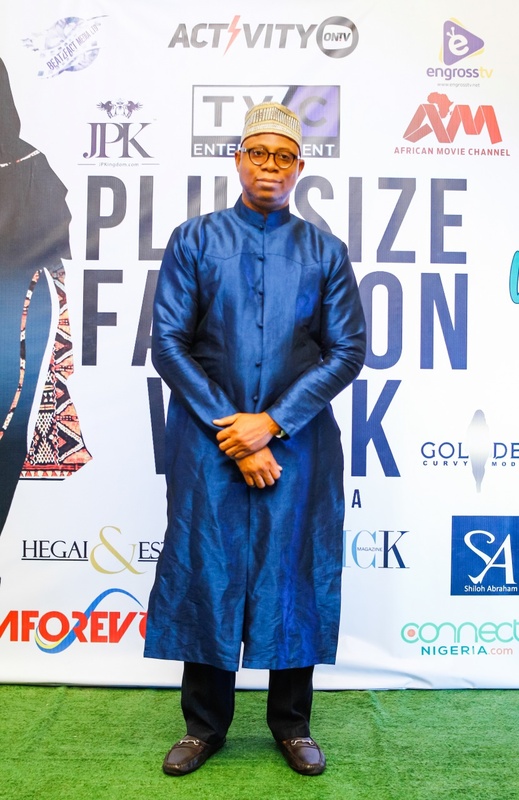 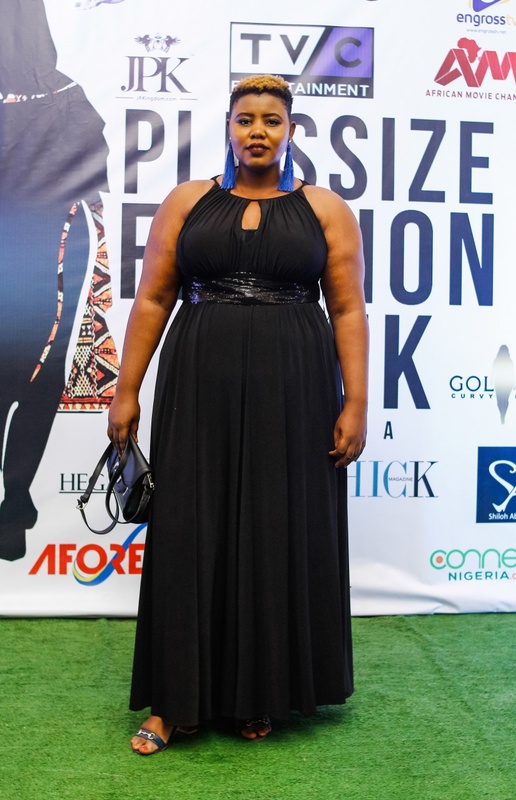 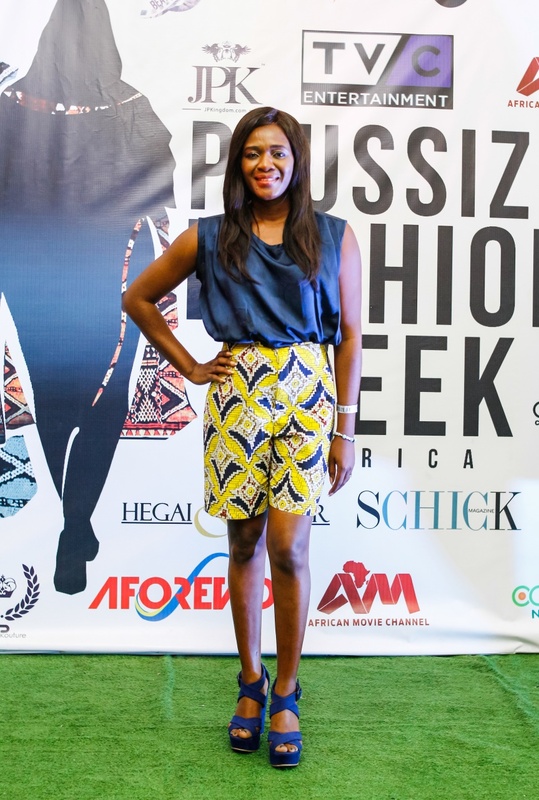 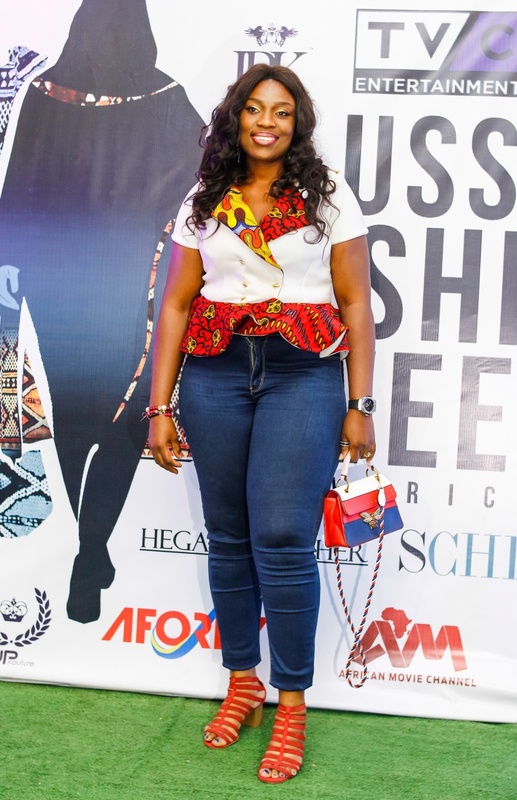 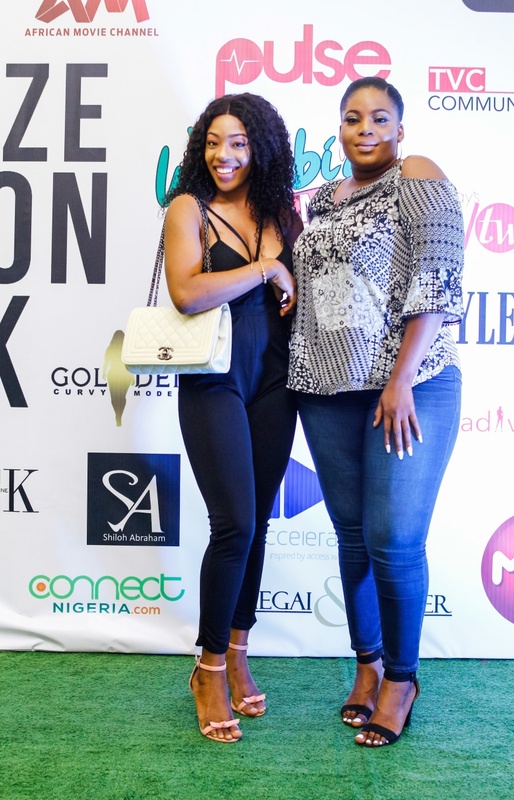 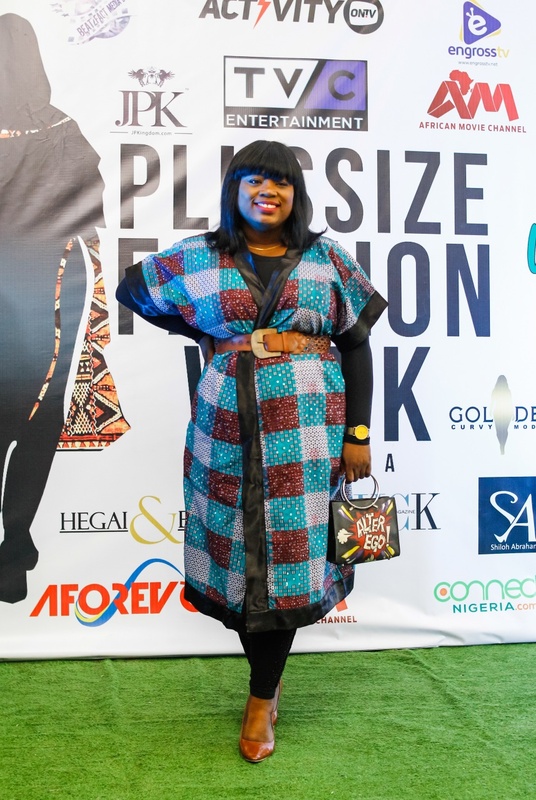 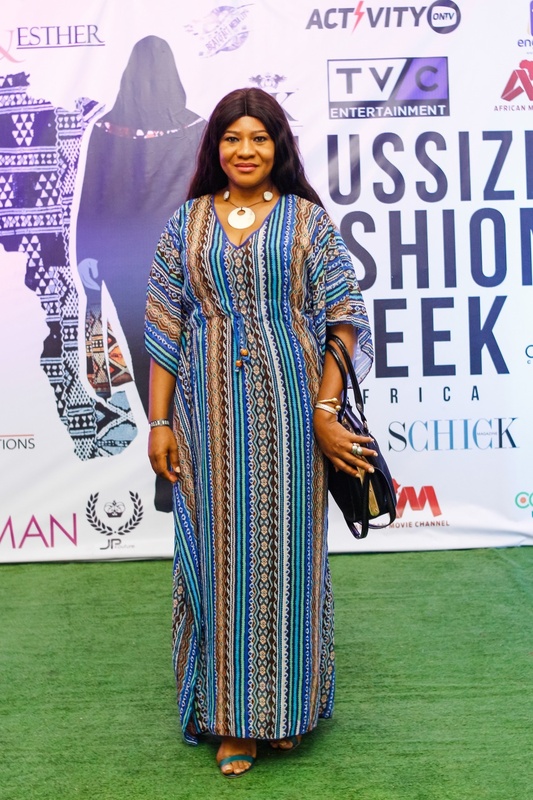 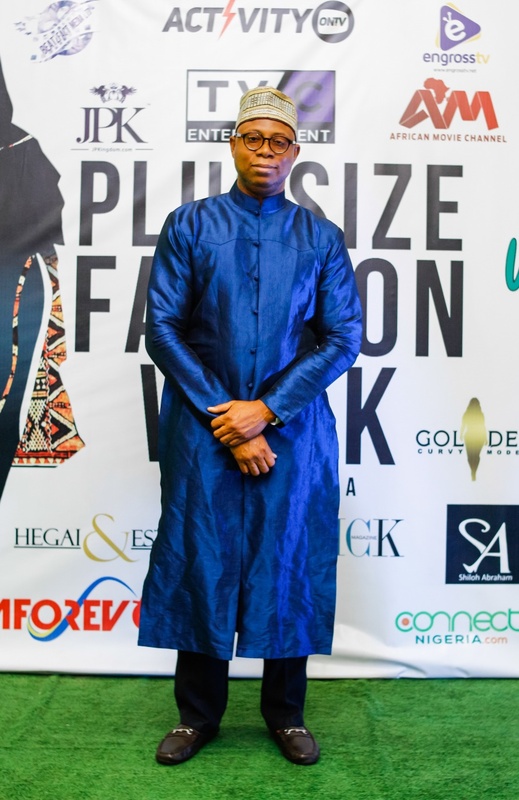 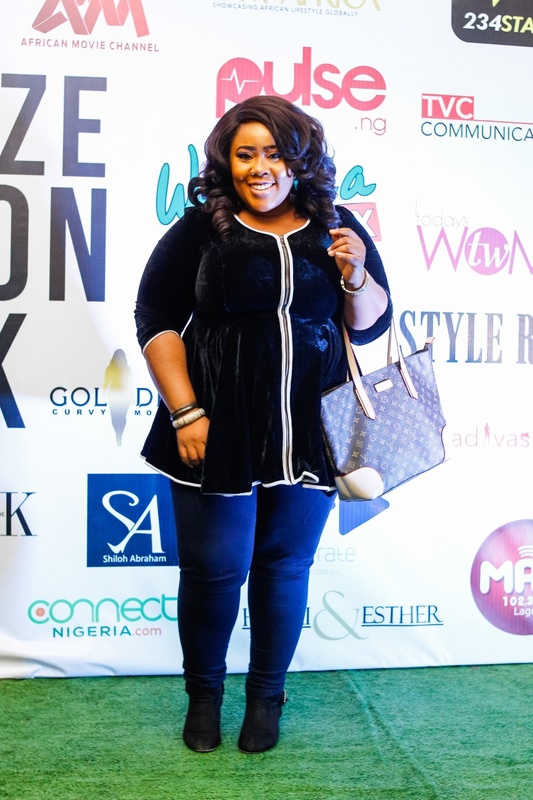 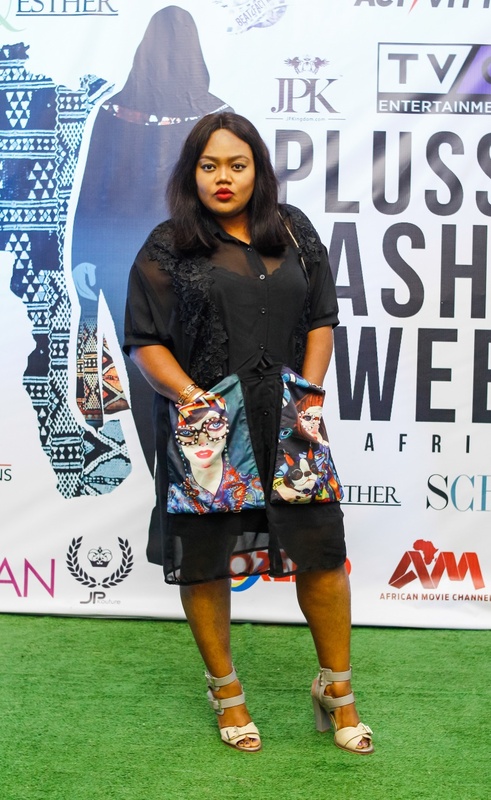 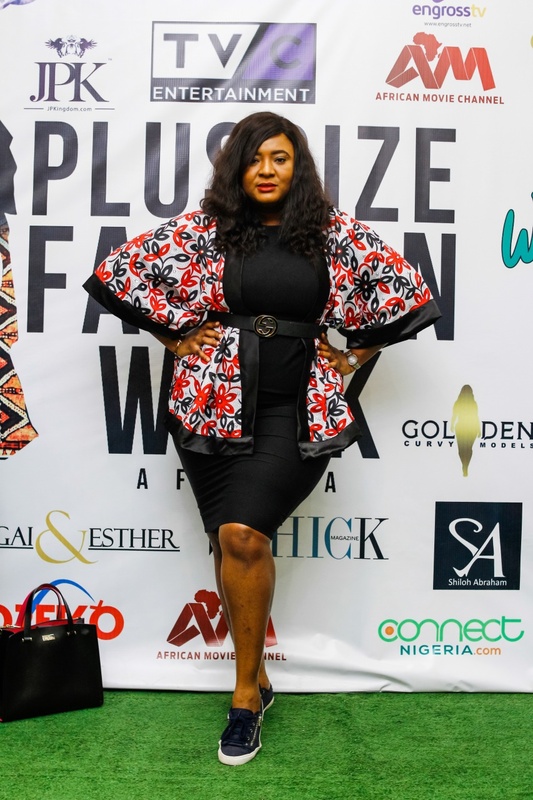 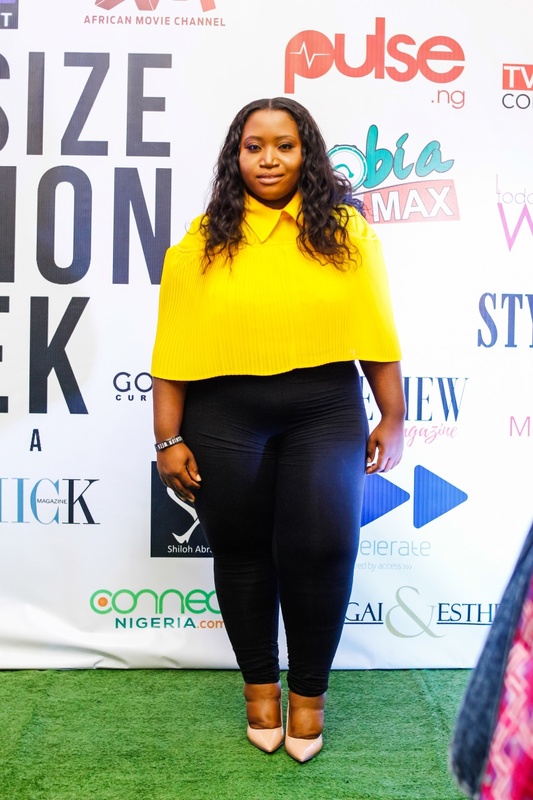 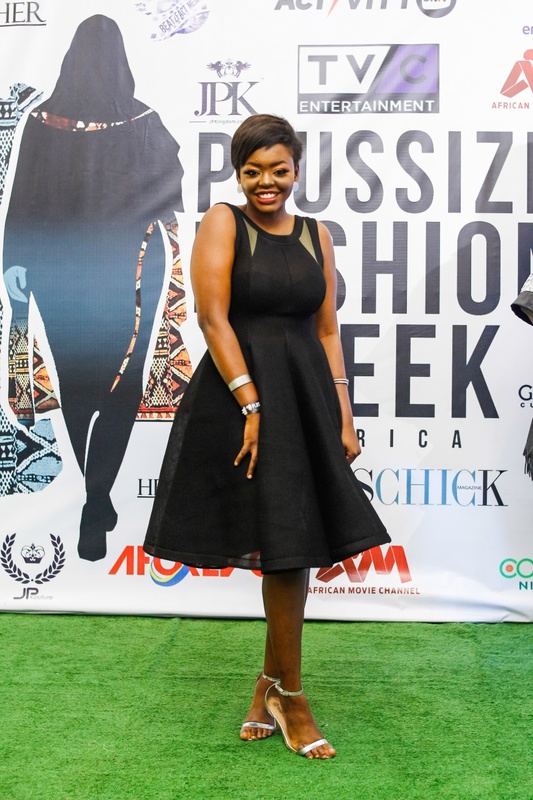 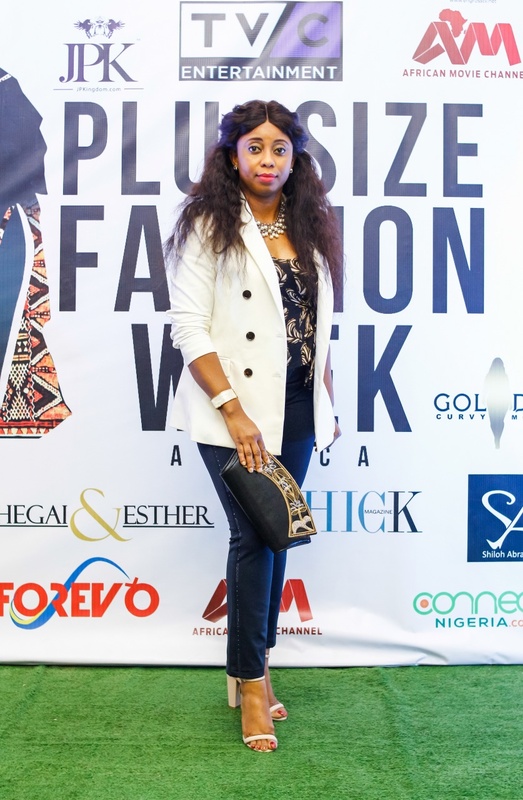 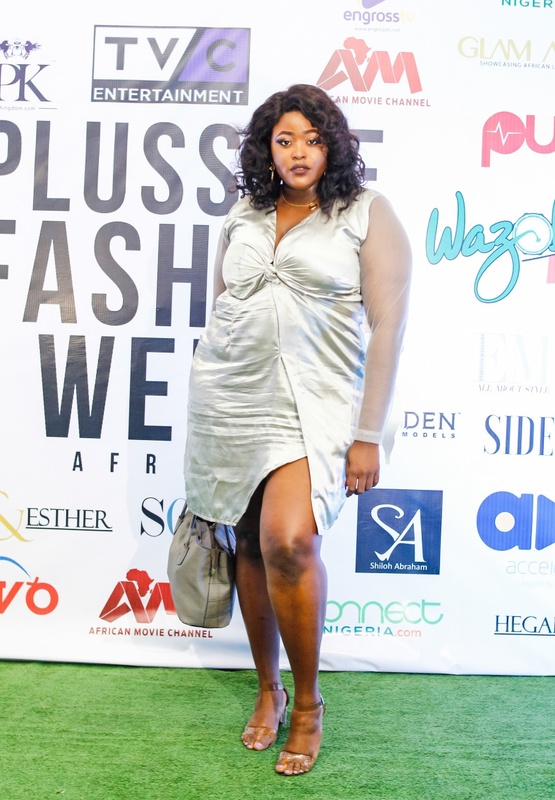 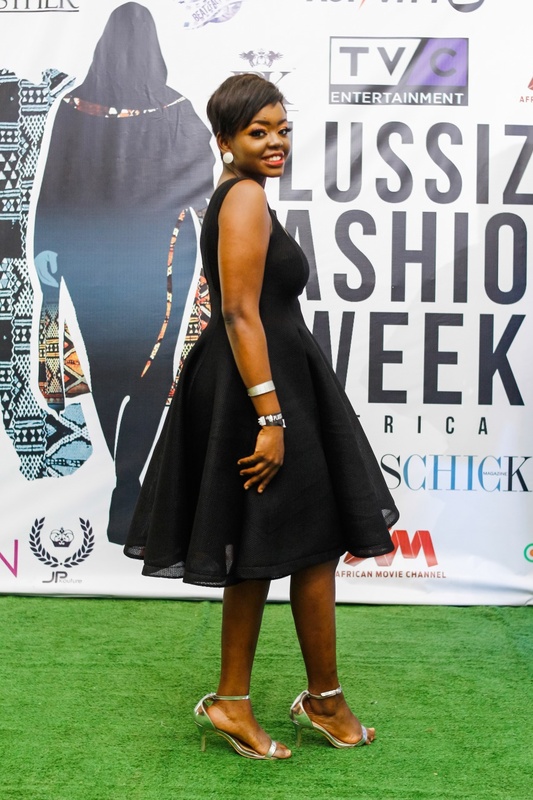 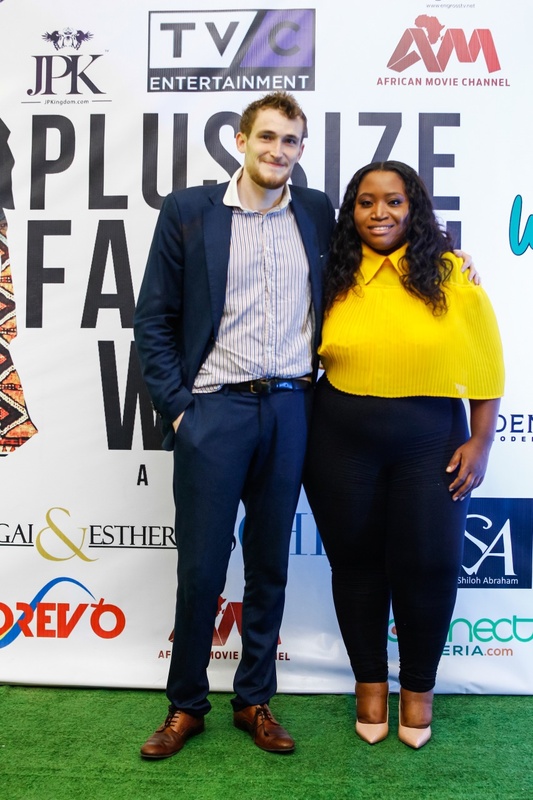 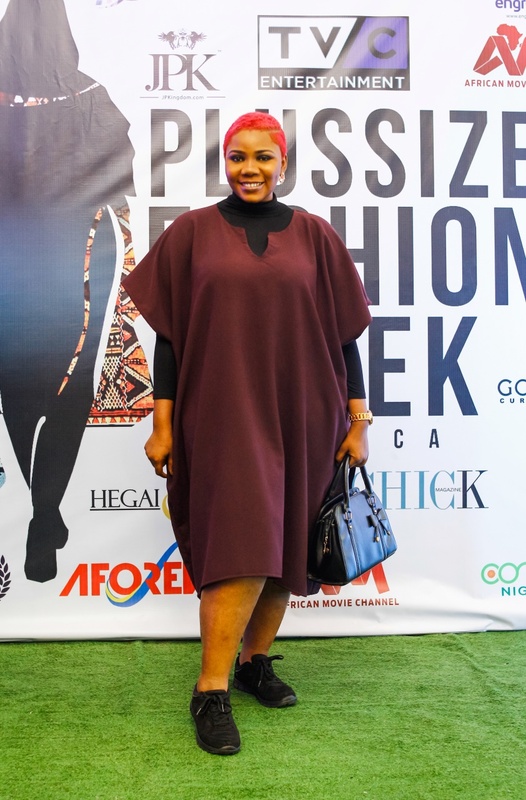 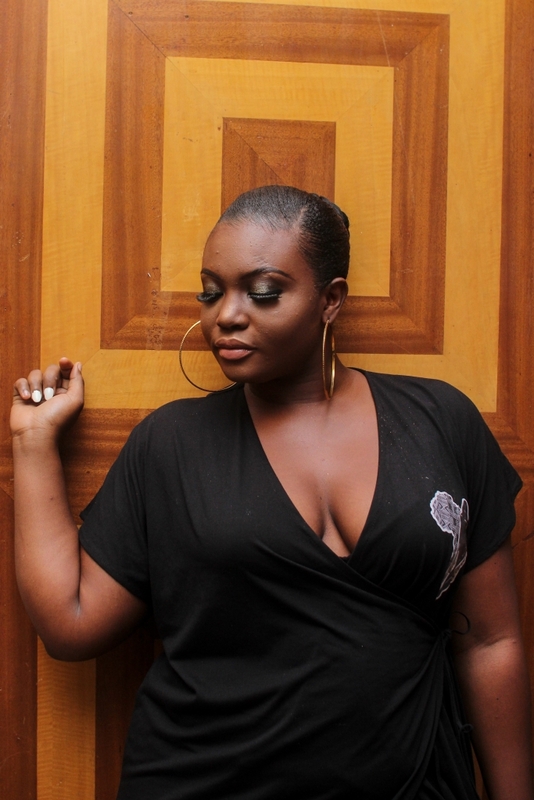 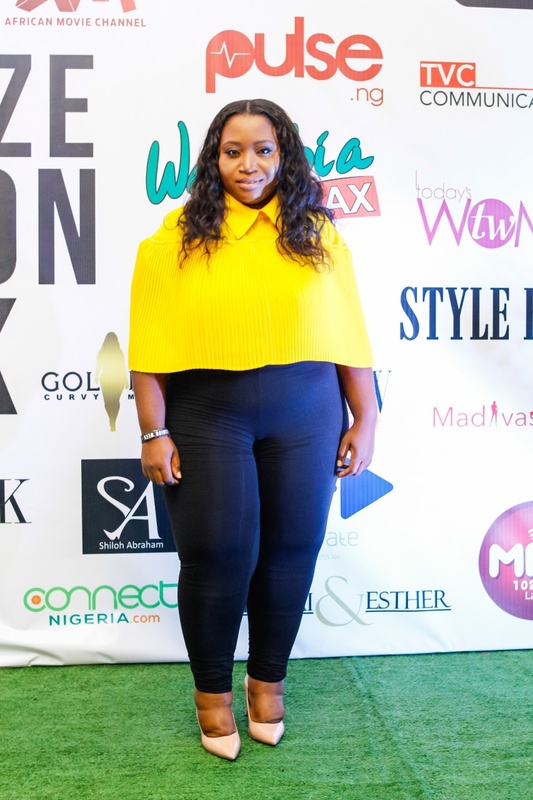 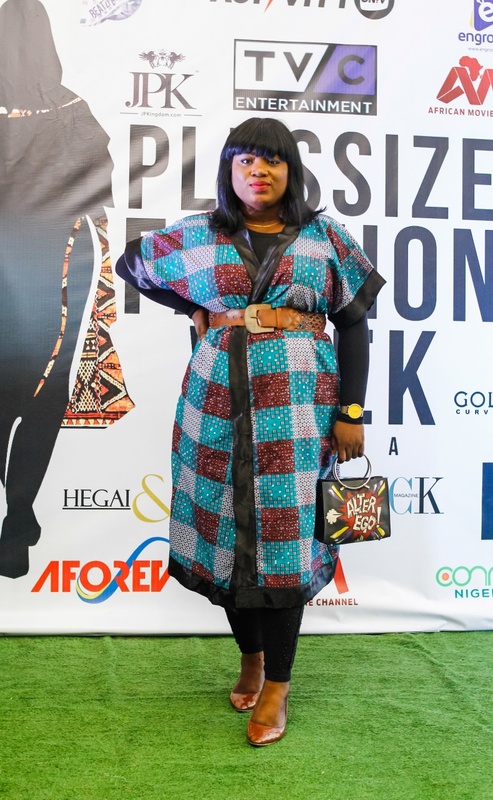 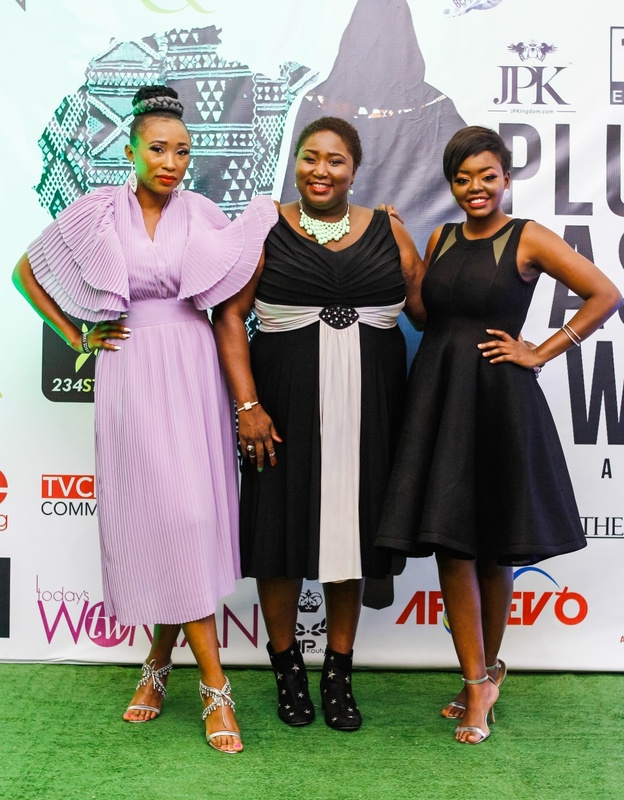 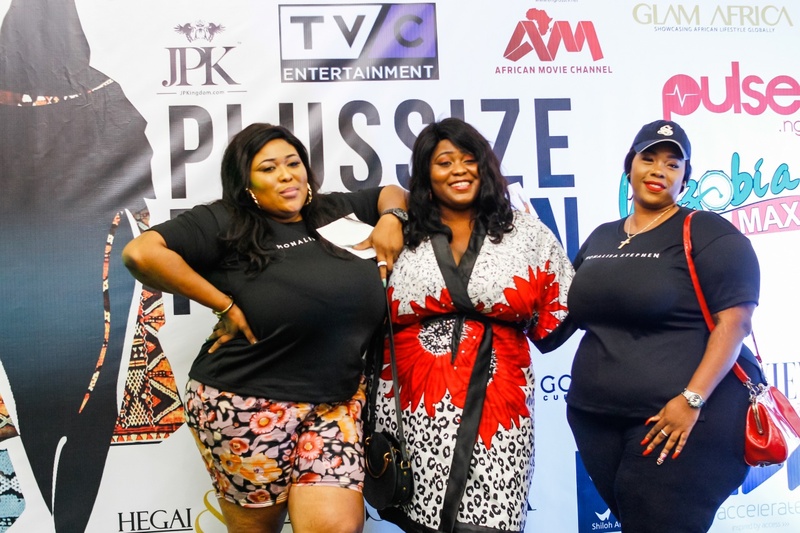 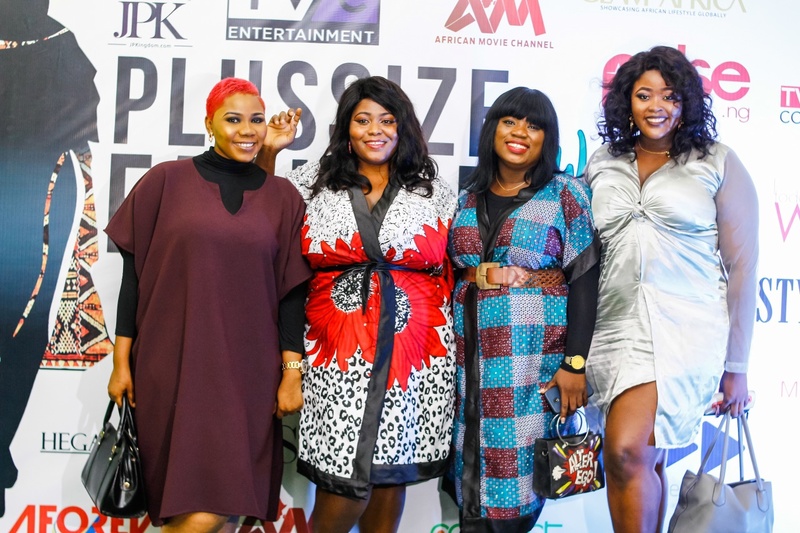 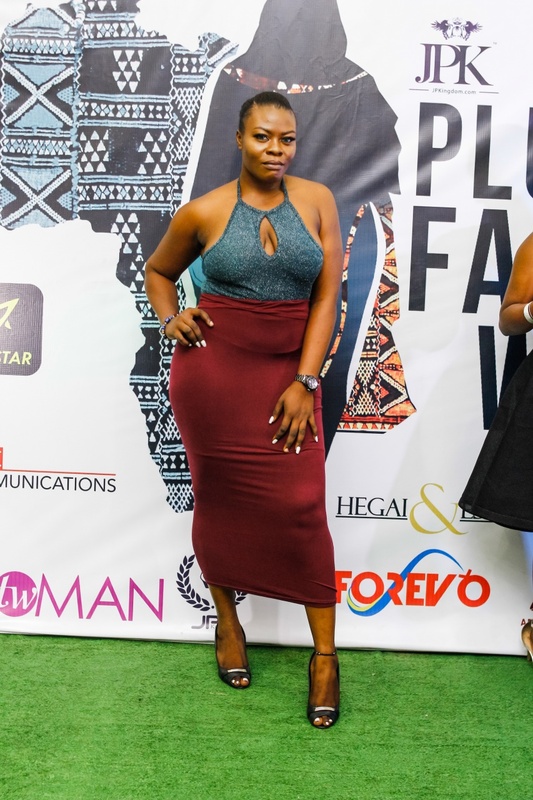 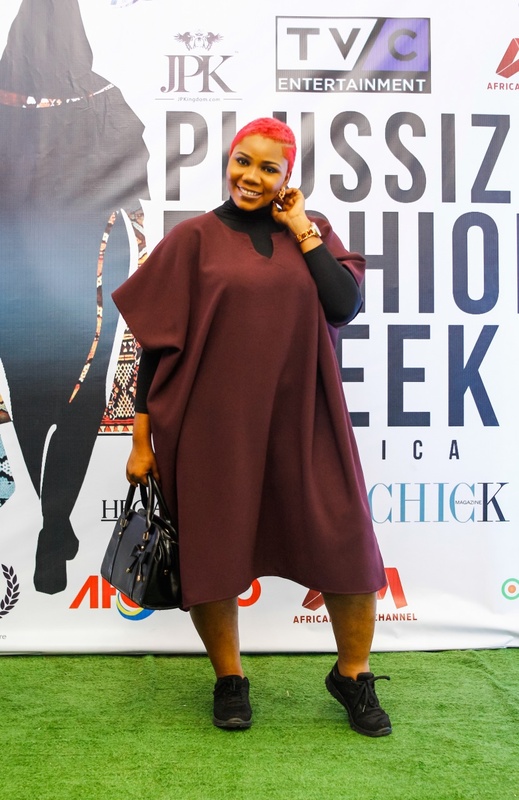 The PlusSize Fashion Week Africa is the brain child of, Temi Aboderin-Alao who is also the founder of JP Kouture and also the founder of Nigeria’s first and foremost Plus size modelling agency, Golden Curvy.